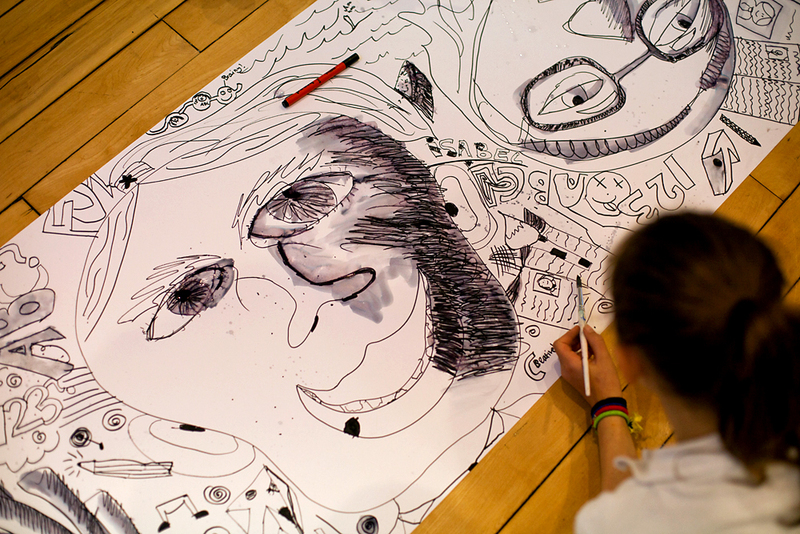 This was a super day long project working with a group of talented creative children on a personal story telling project. 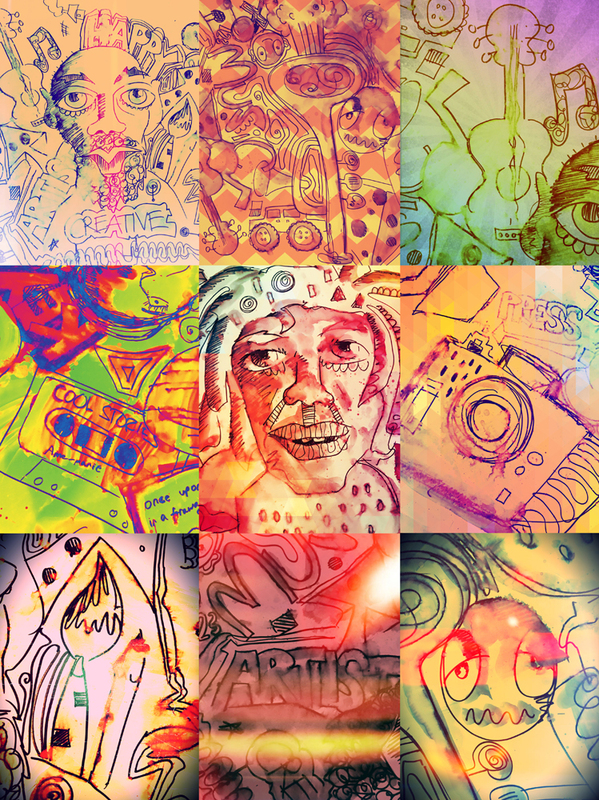 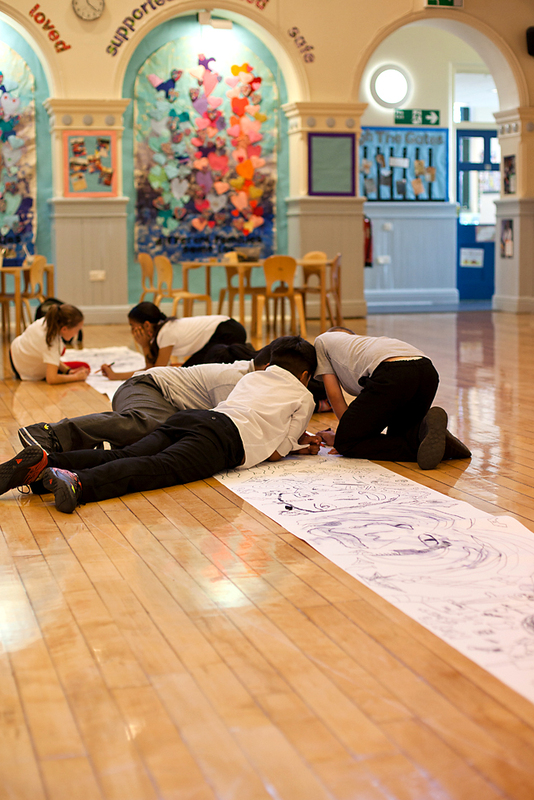 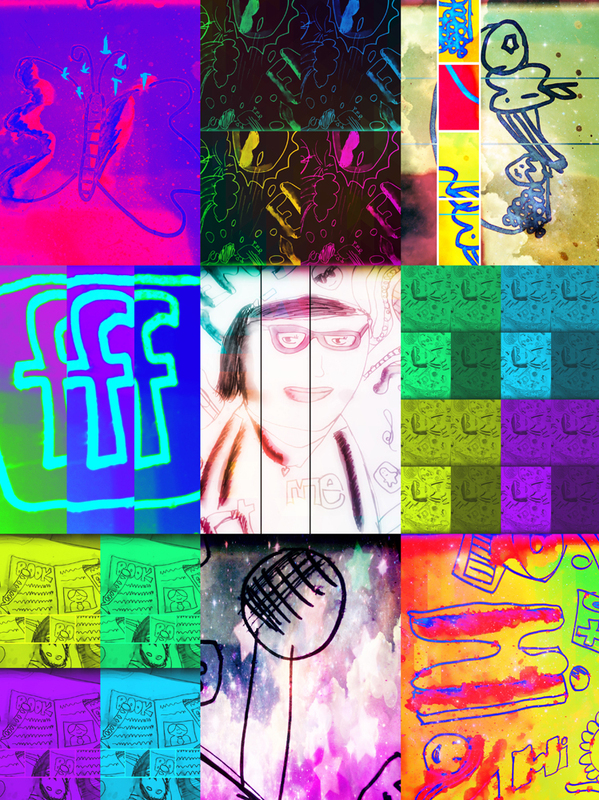 The artwork produced was towards part of a community art exhibition with many other schools being involved. 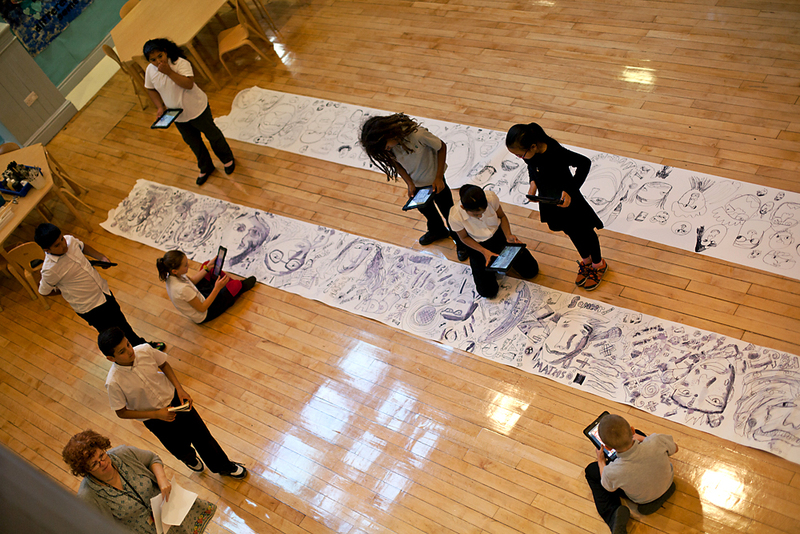 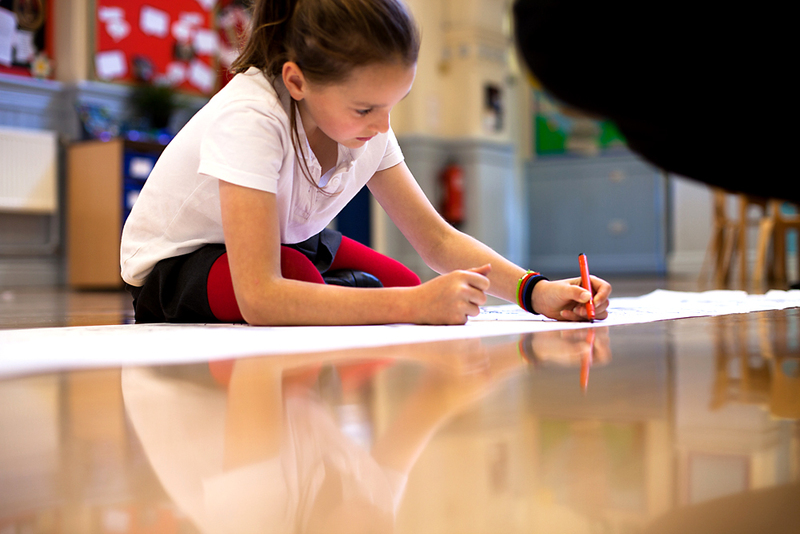 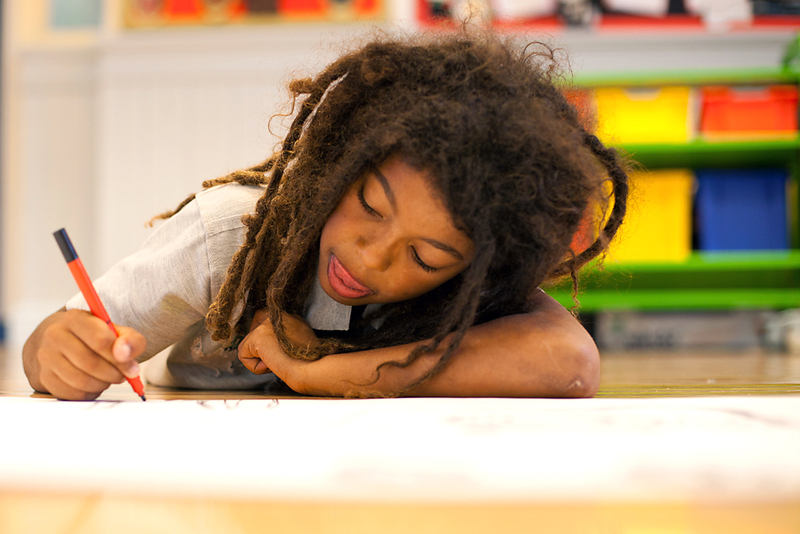 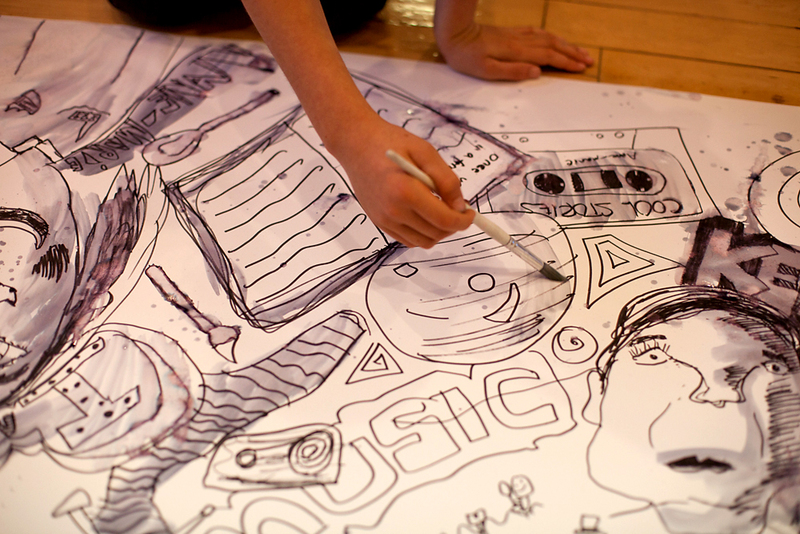 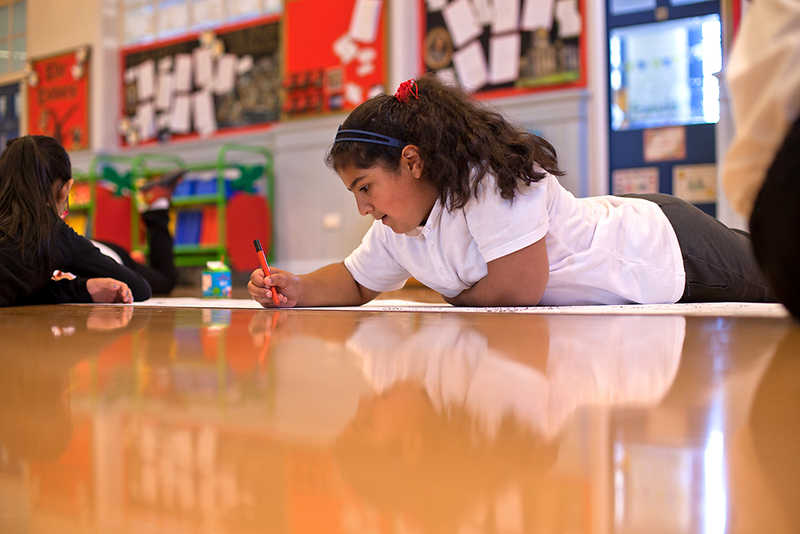 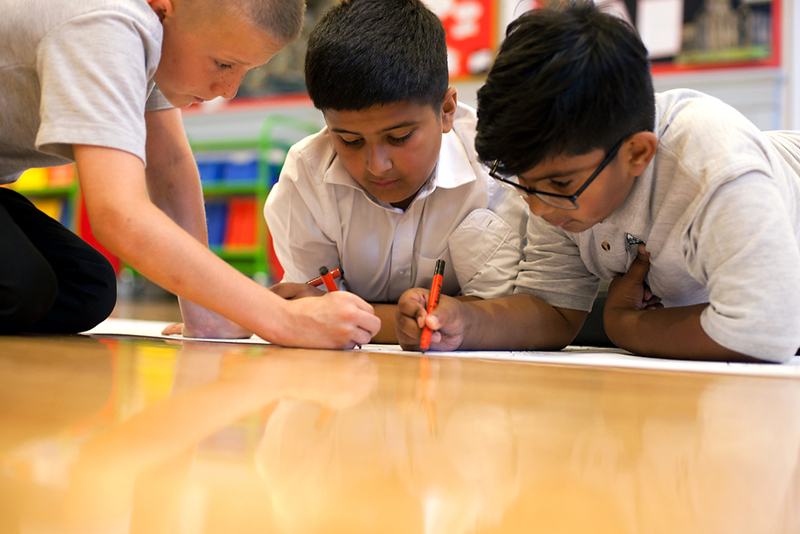 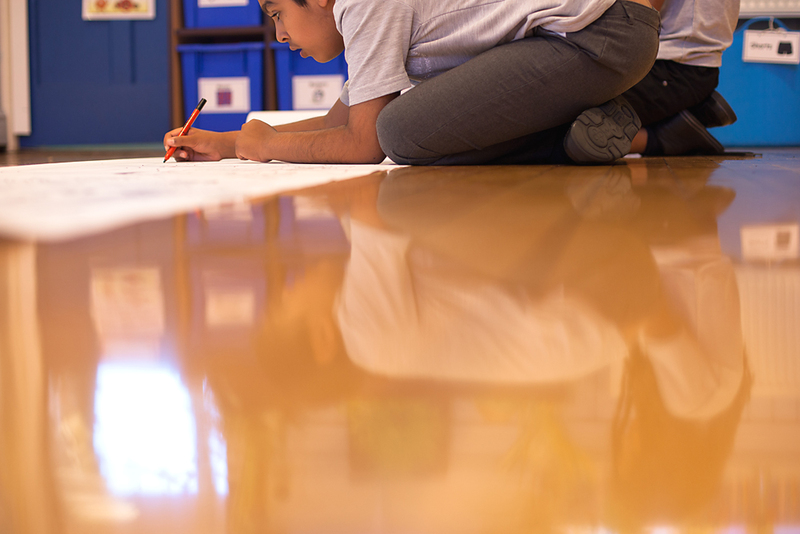 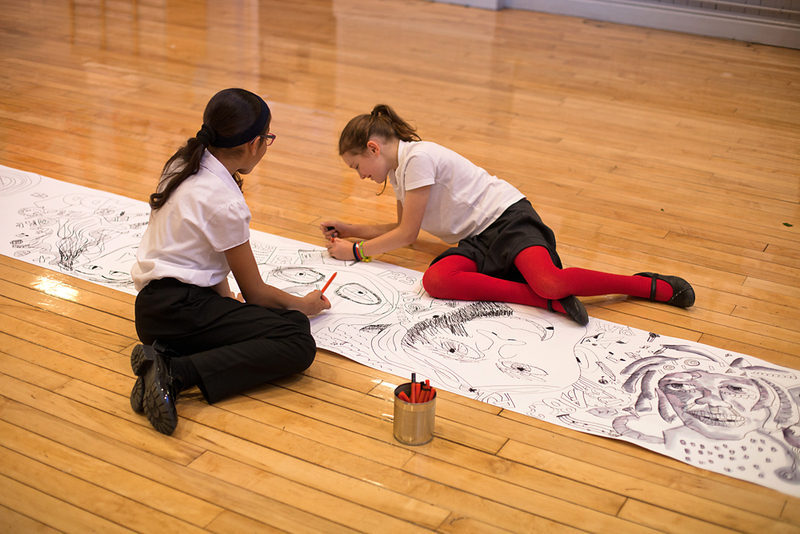 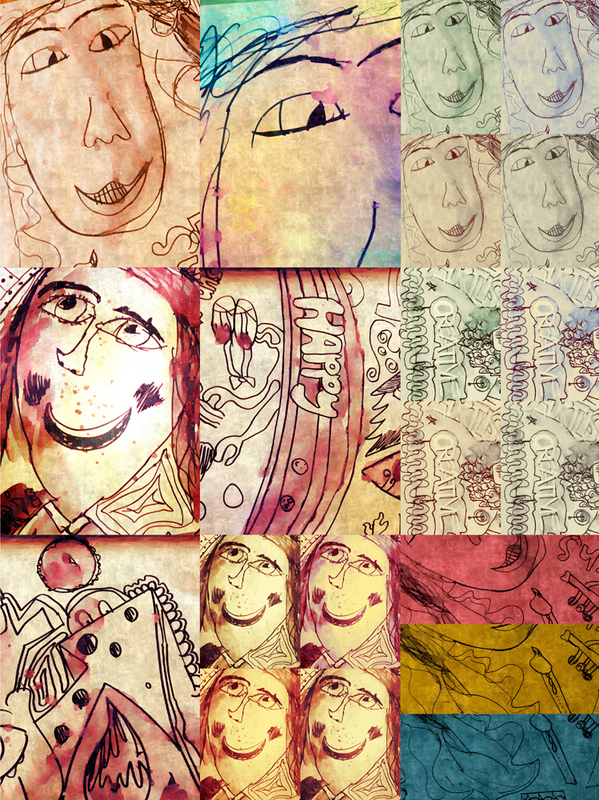 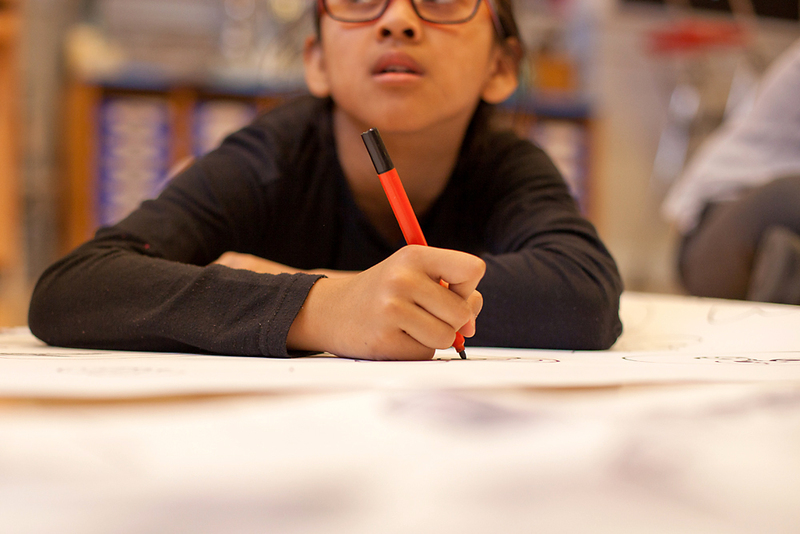 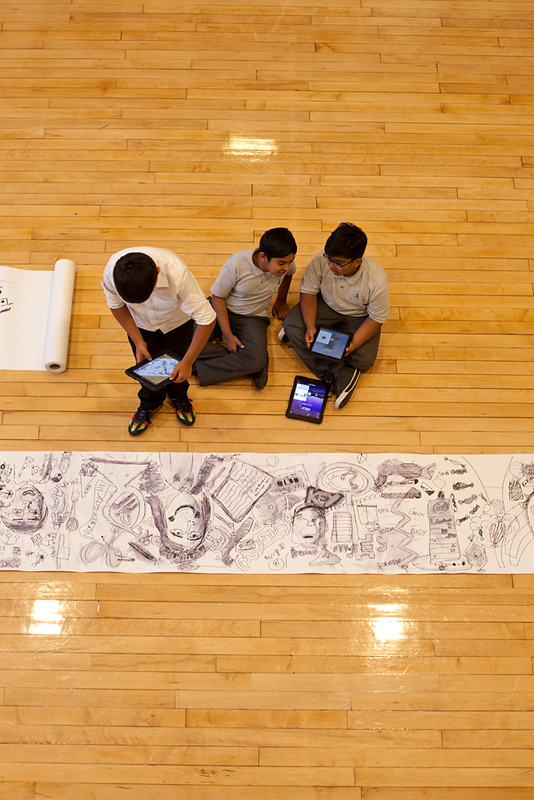 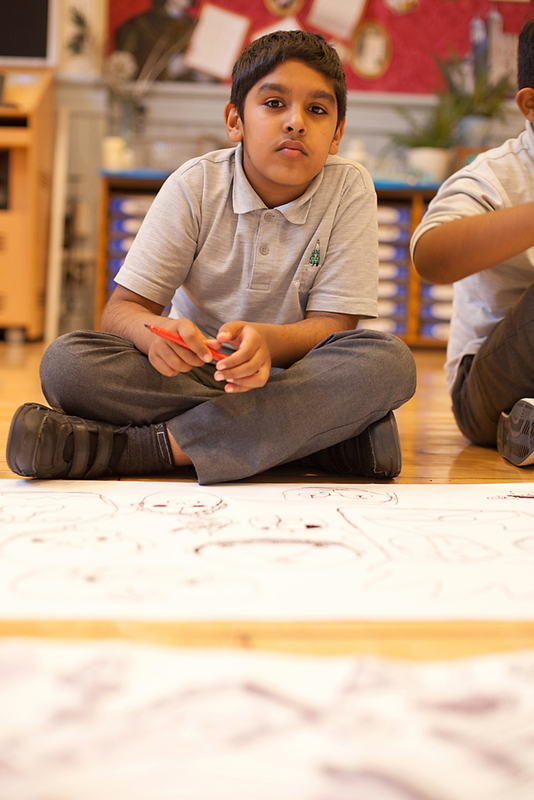 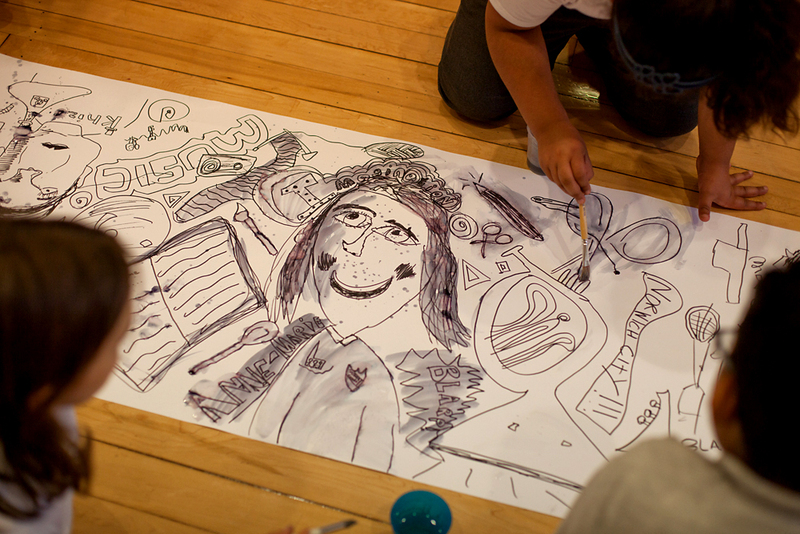 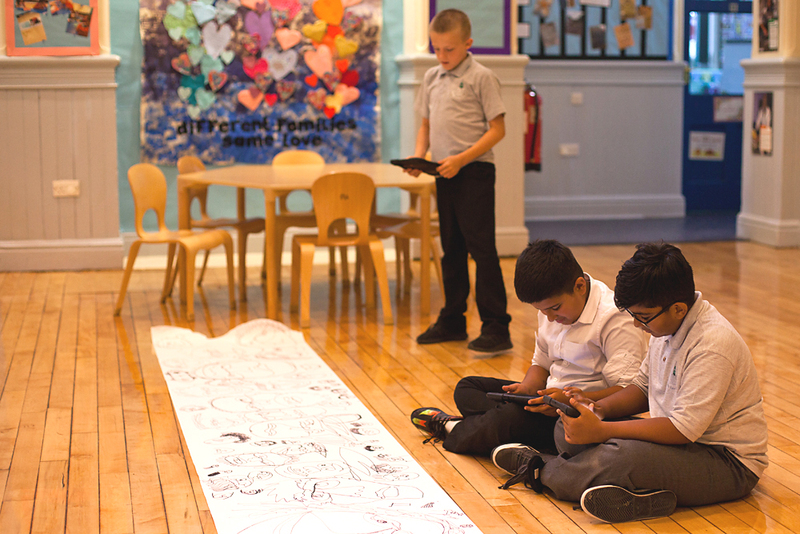 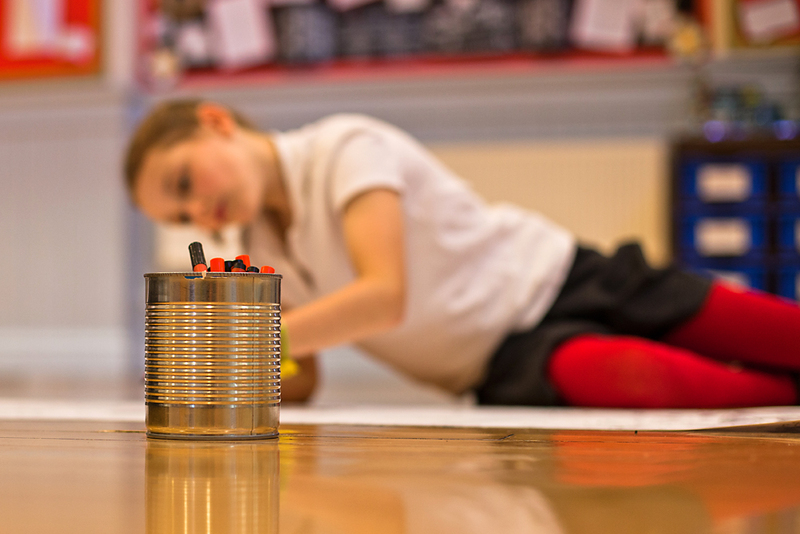 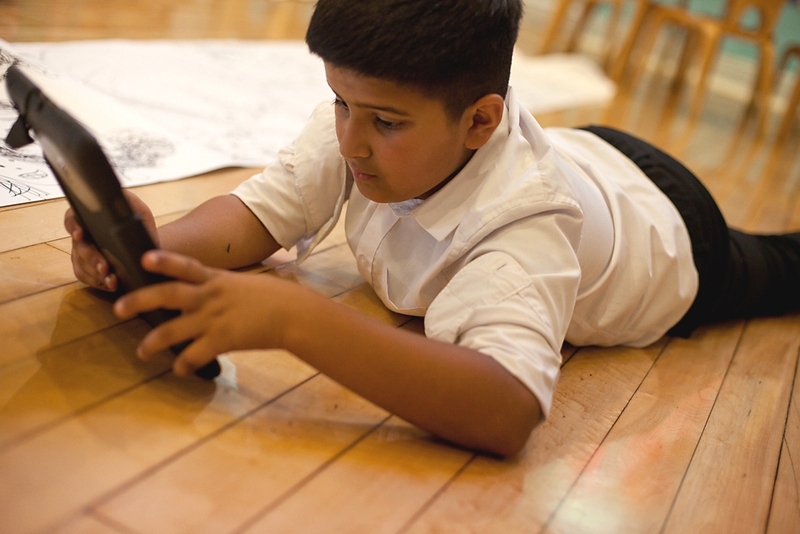 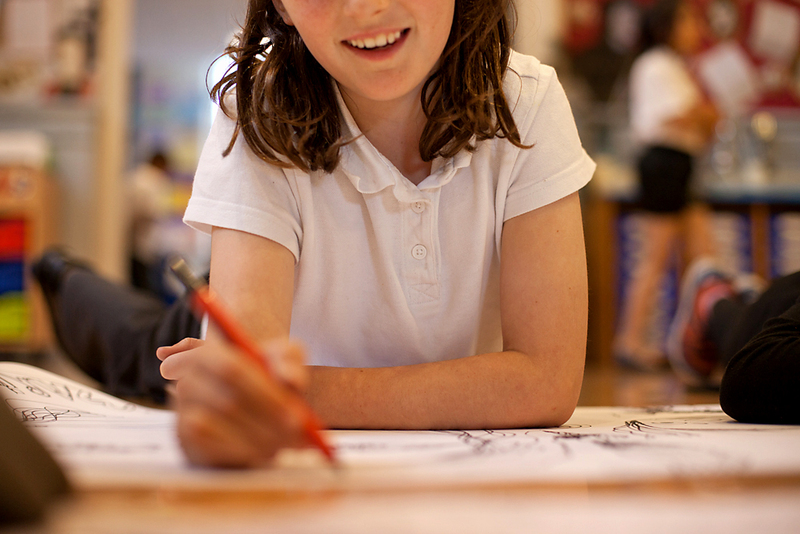 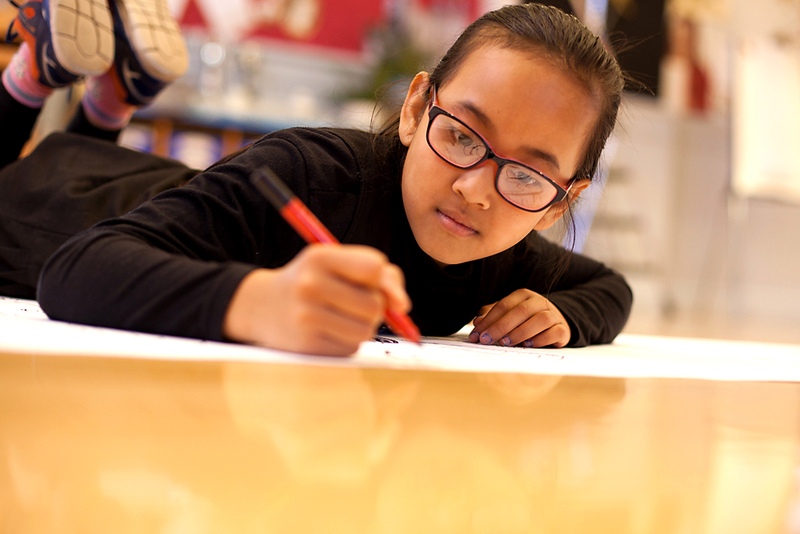 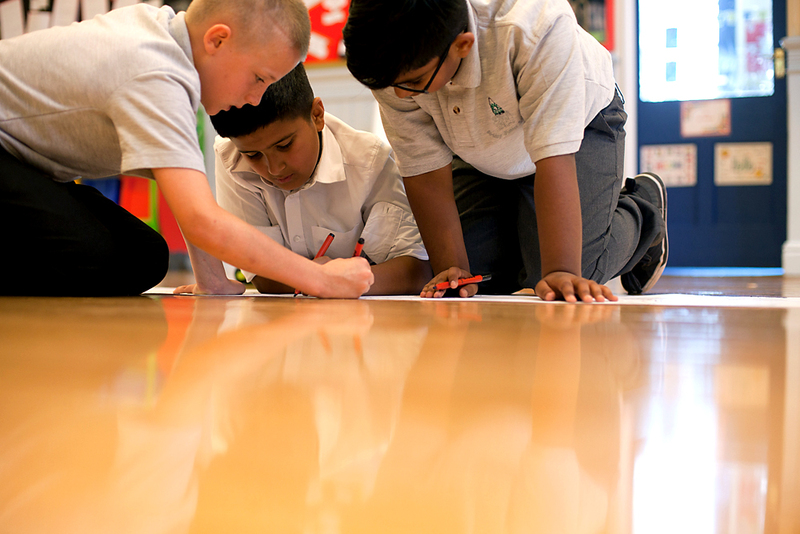 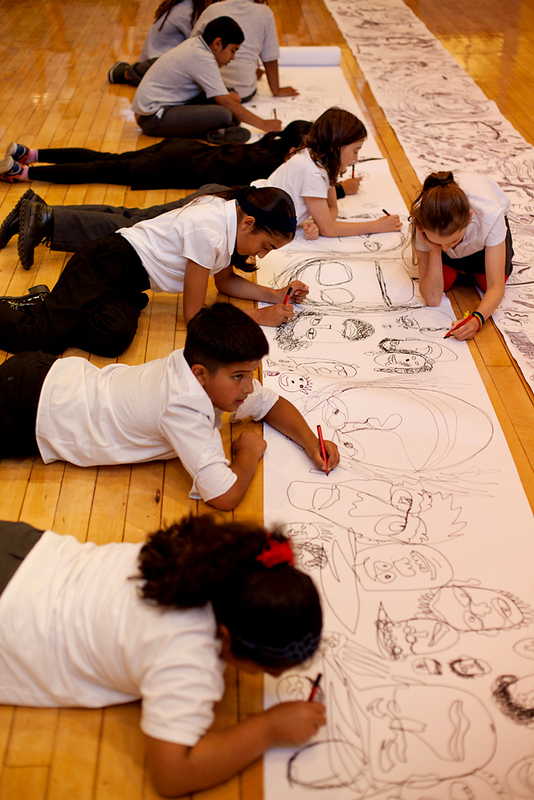 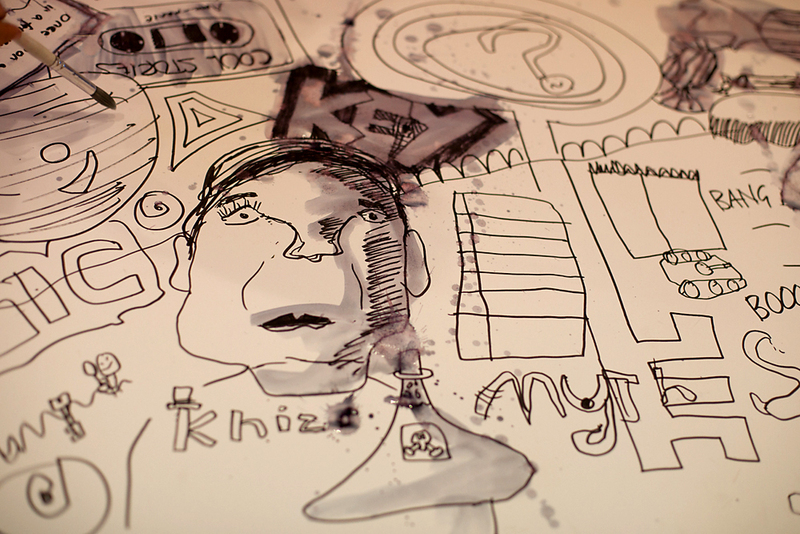 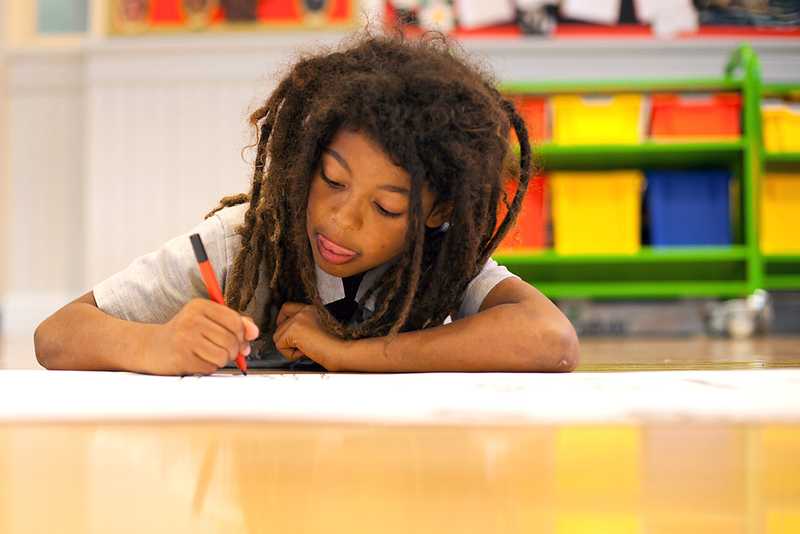 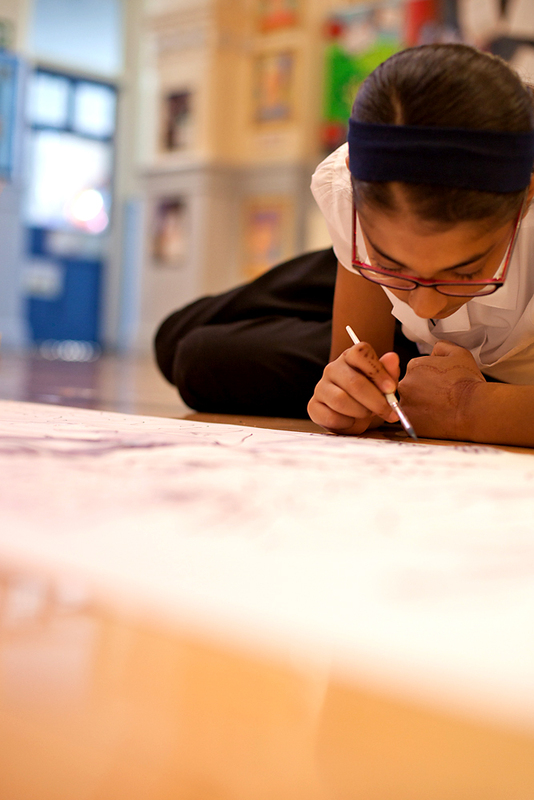 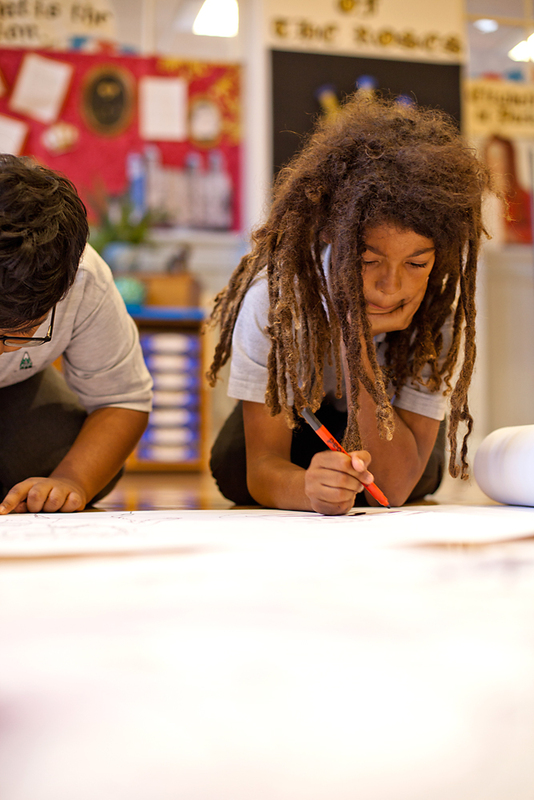 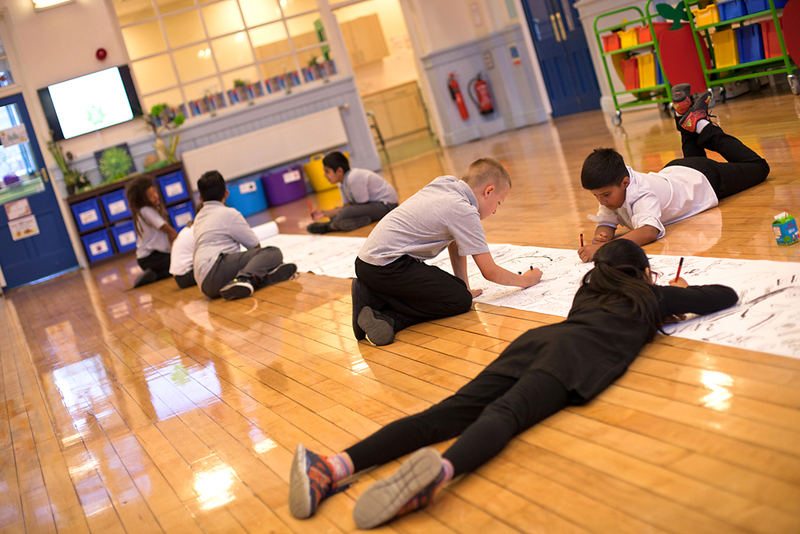 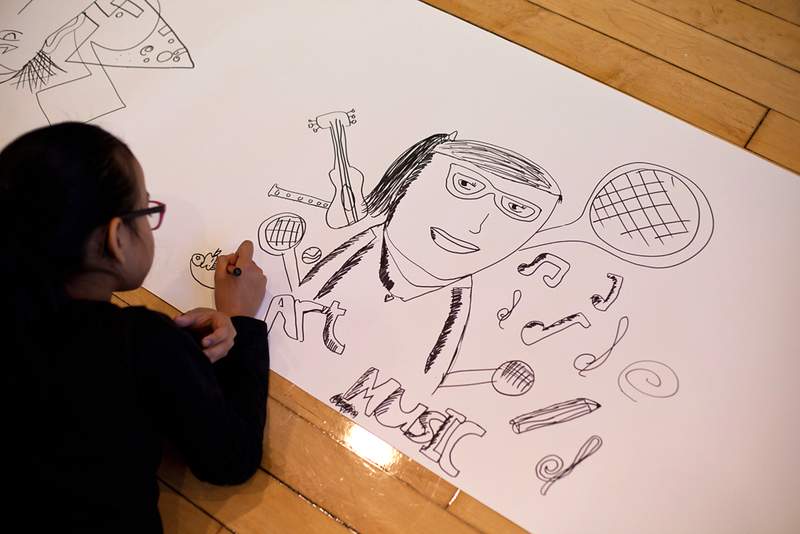 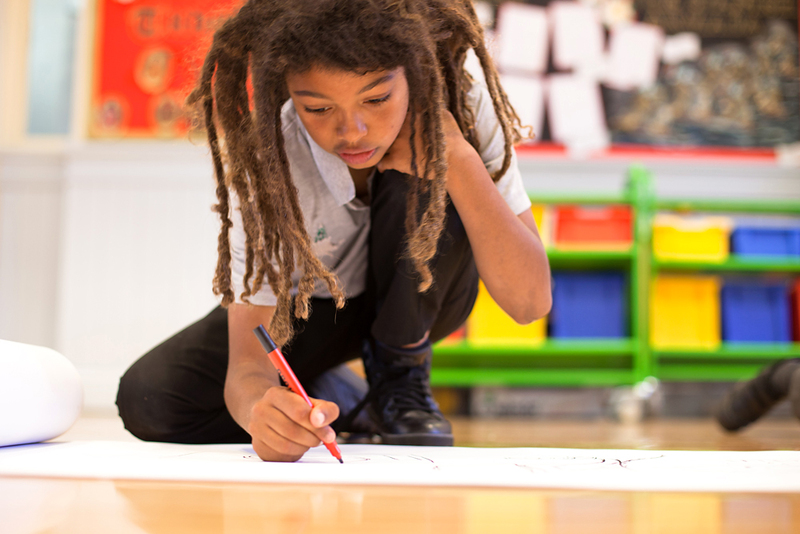 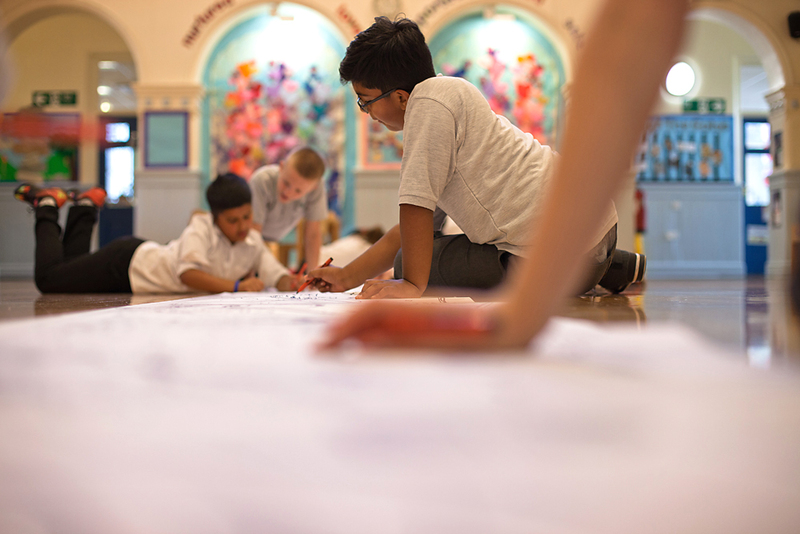 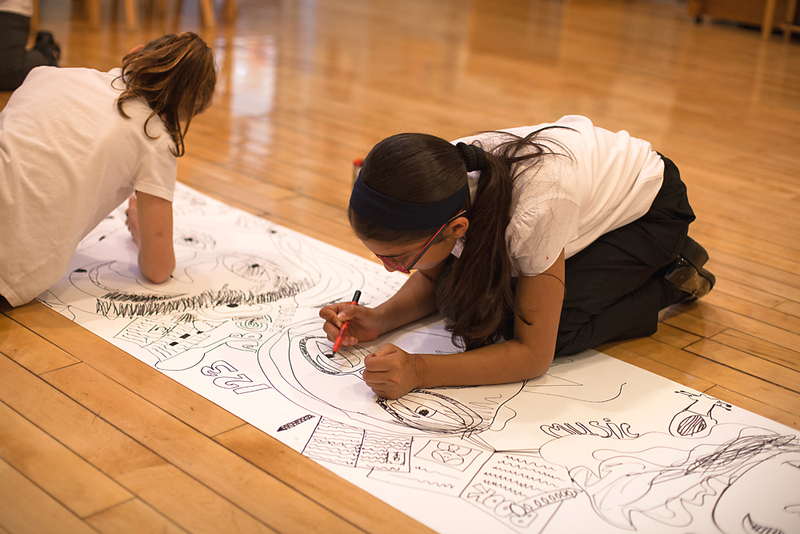 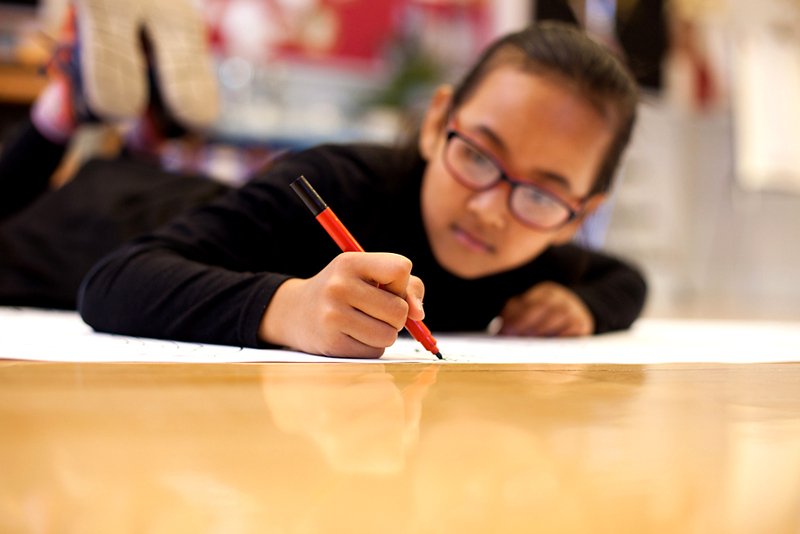 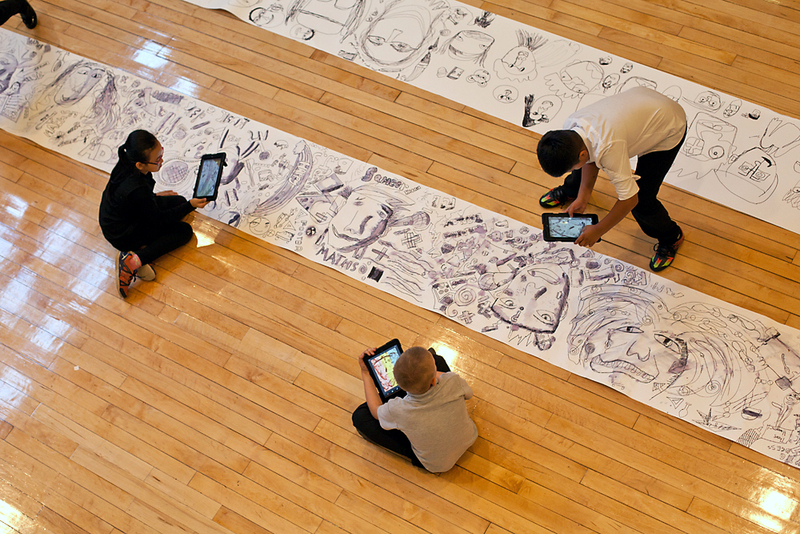 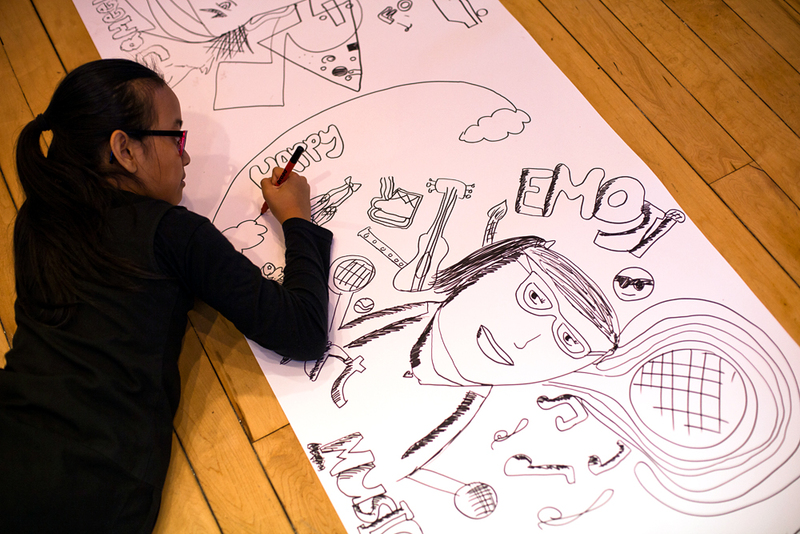 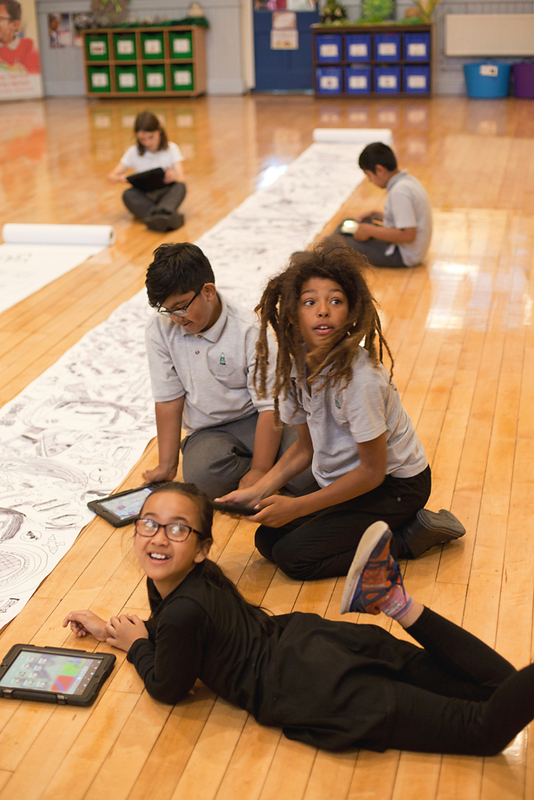 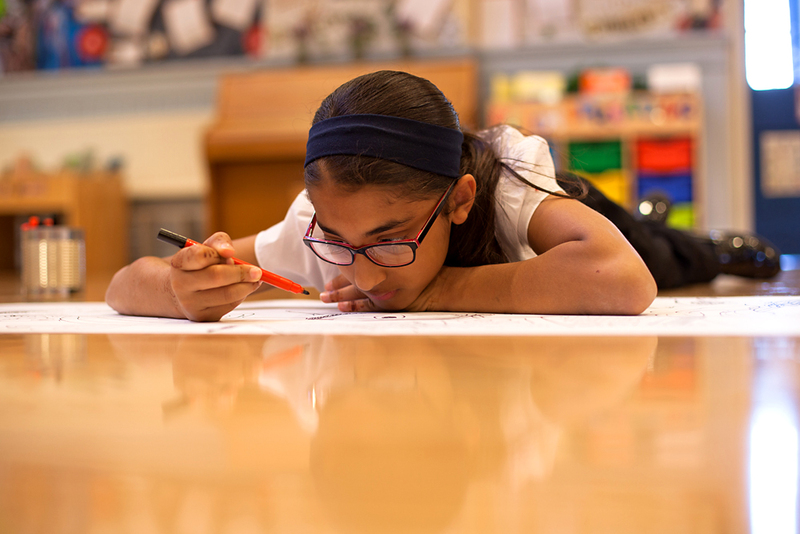 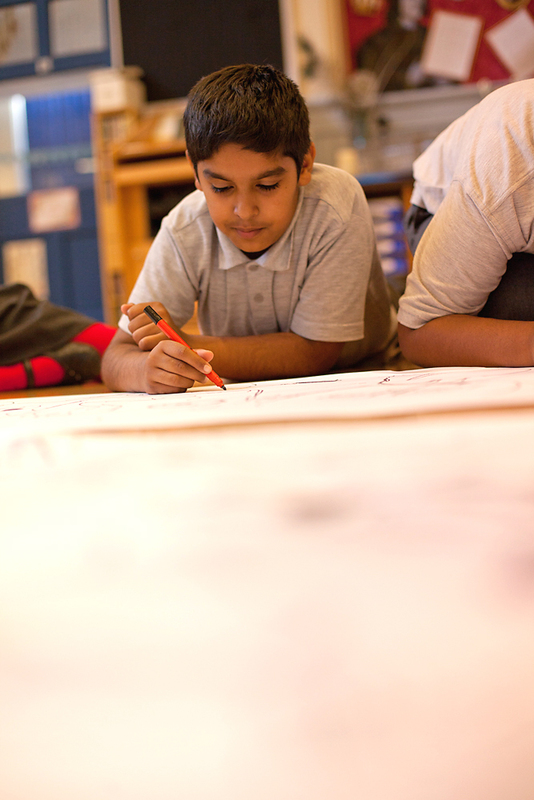 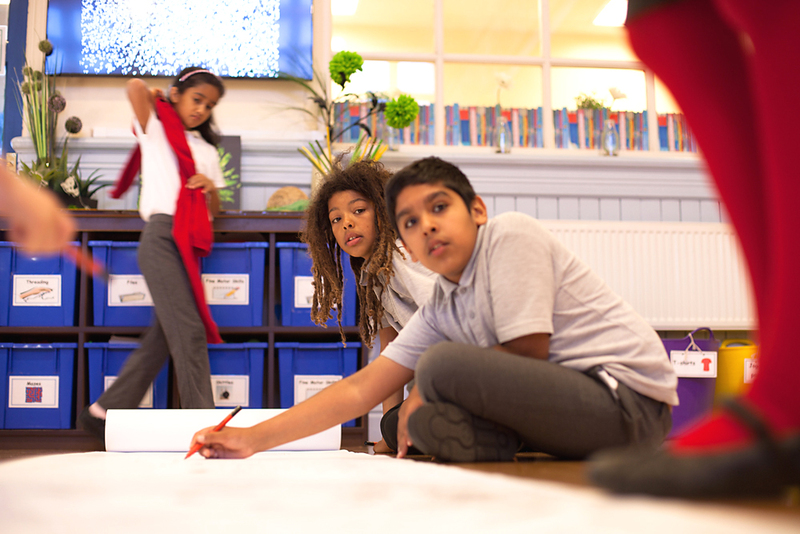 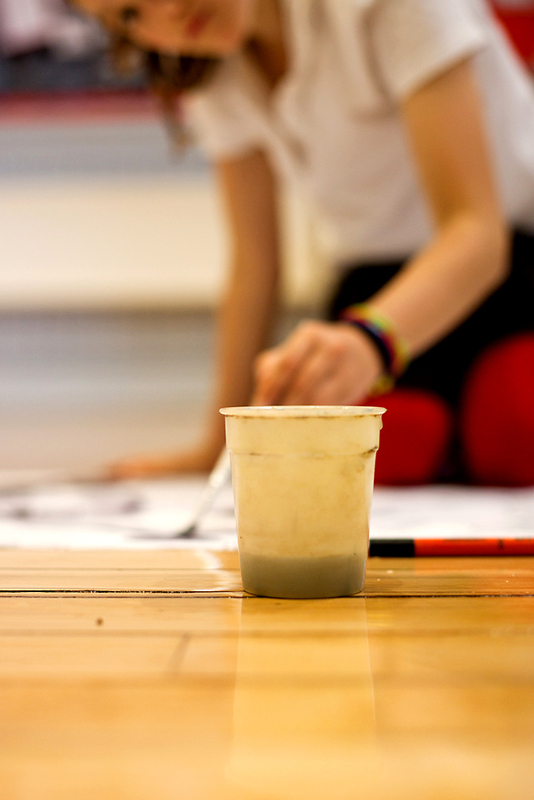 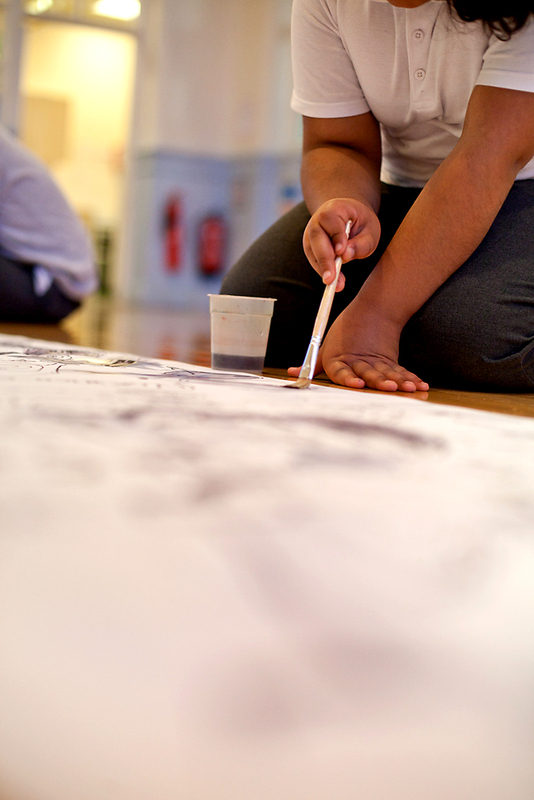 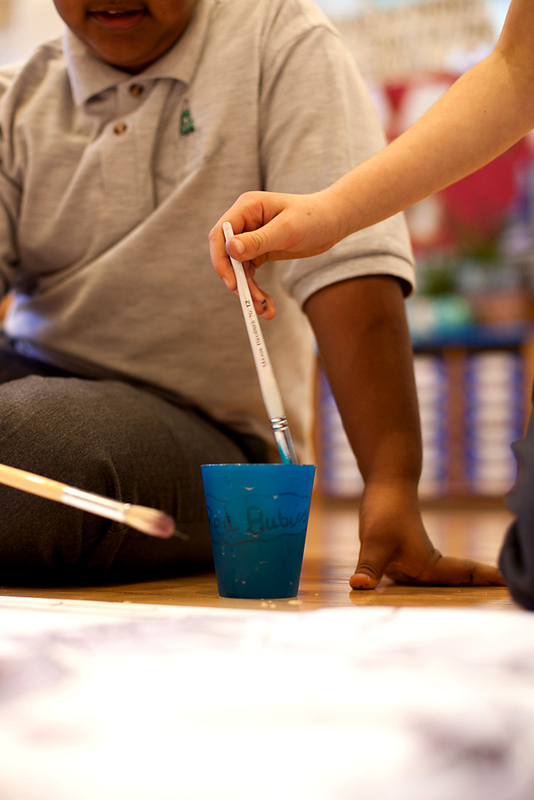 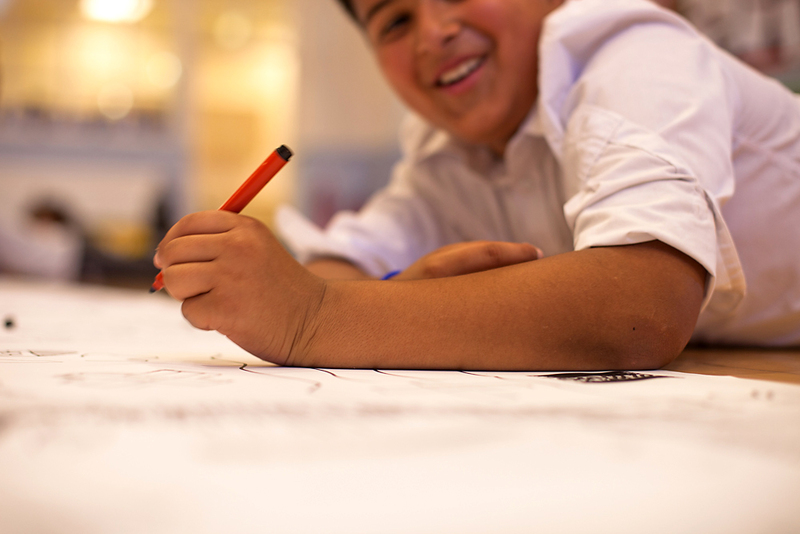 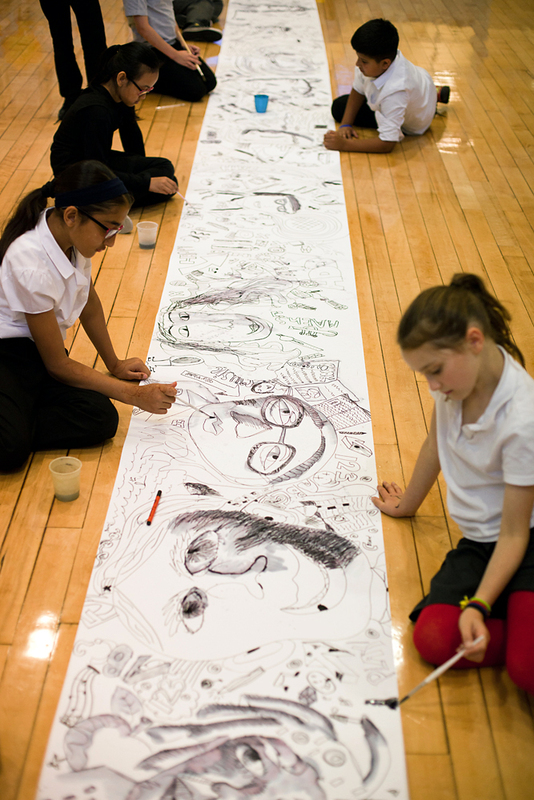 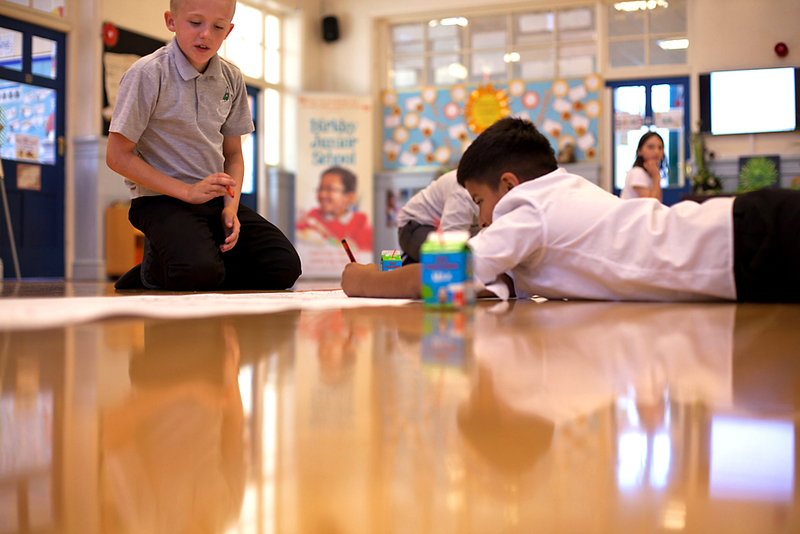 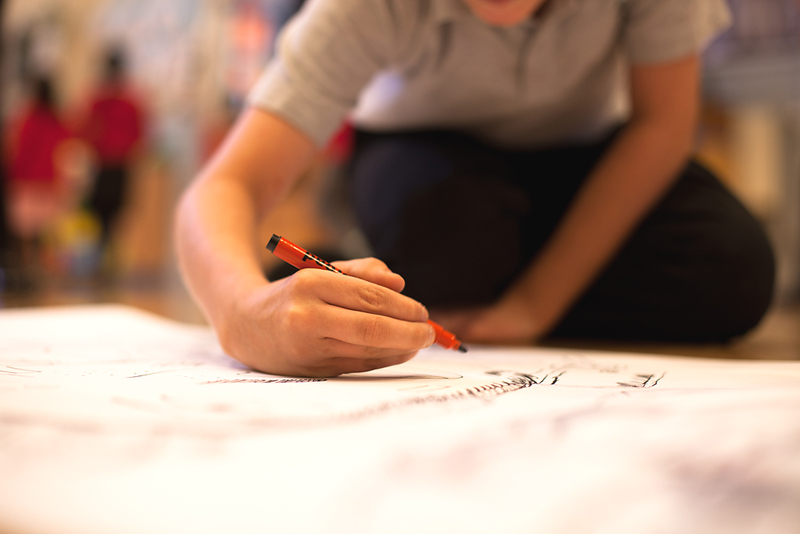 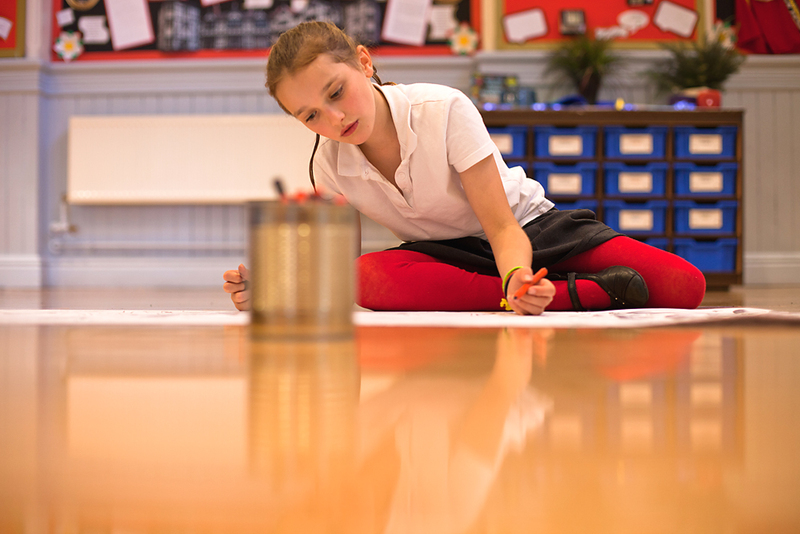 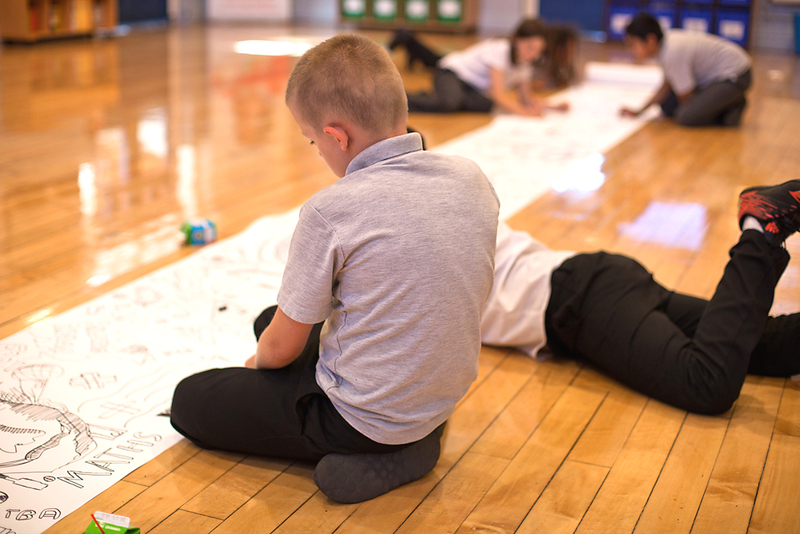 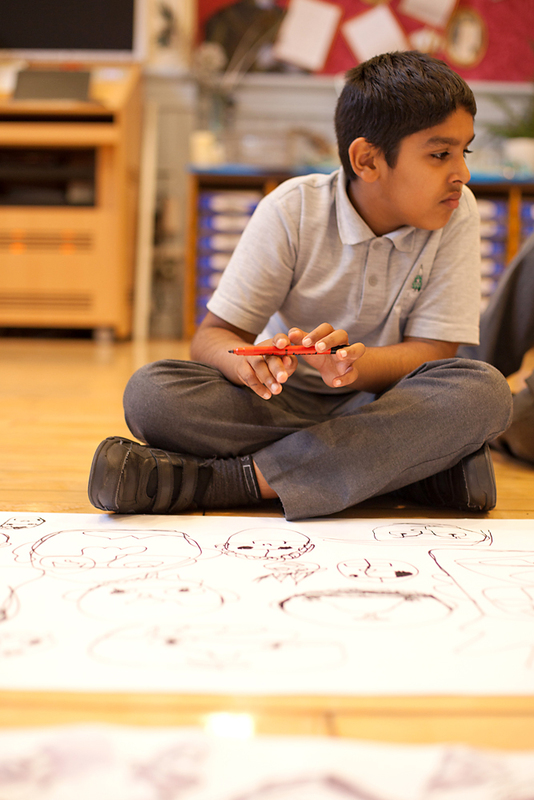 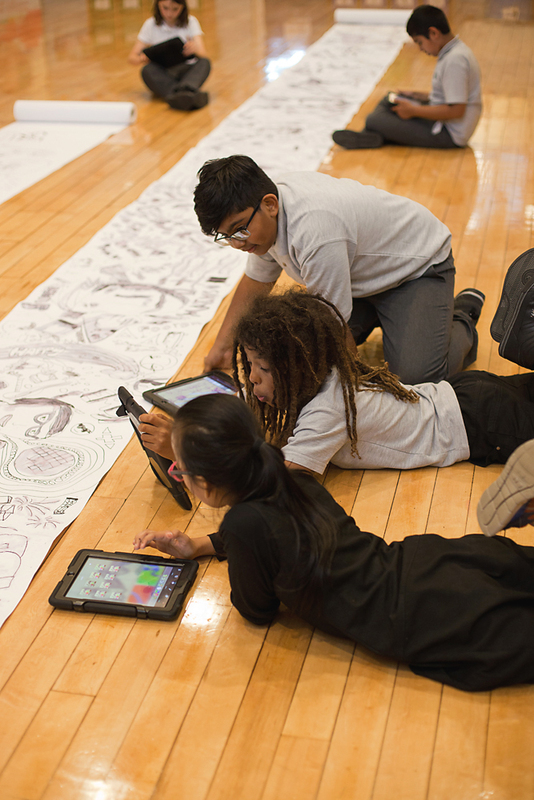 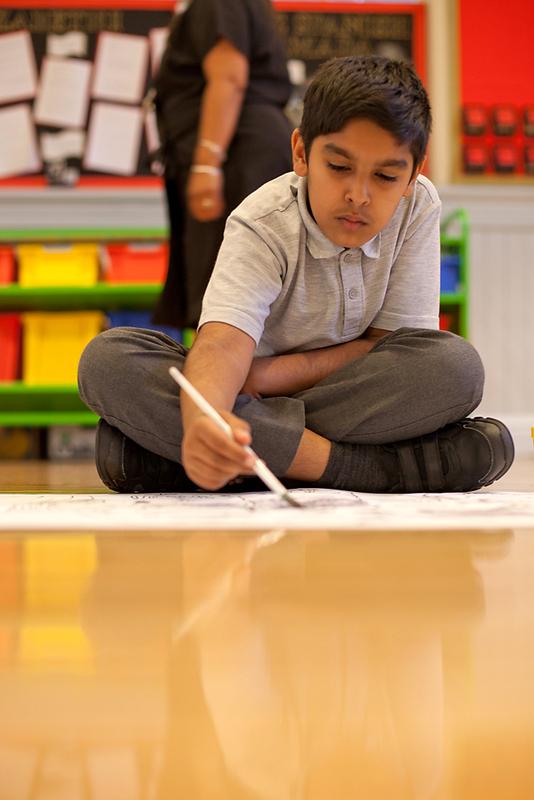 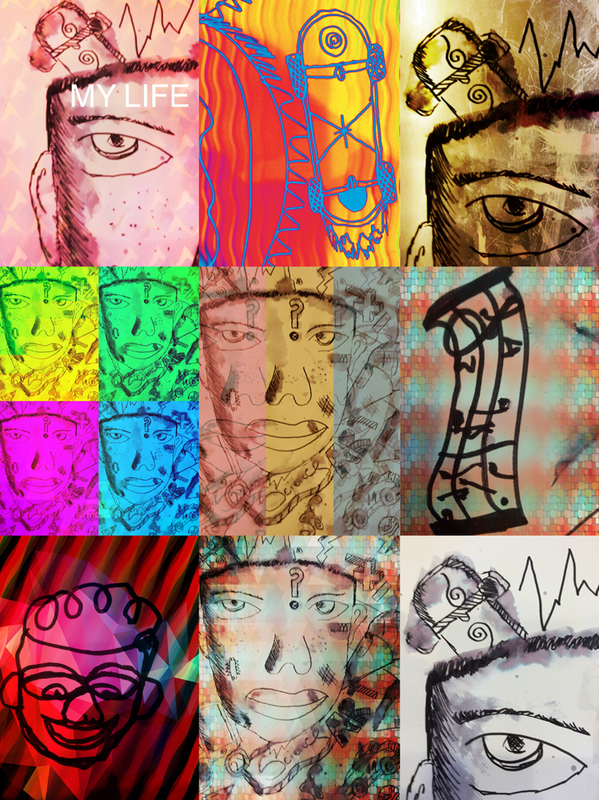 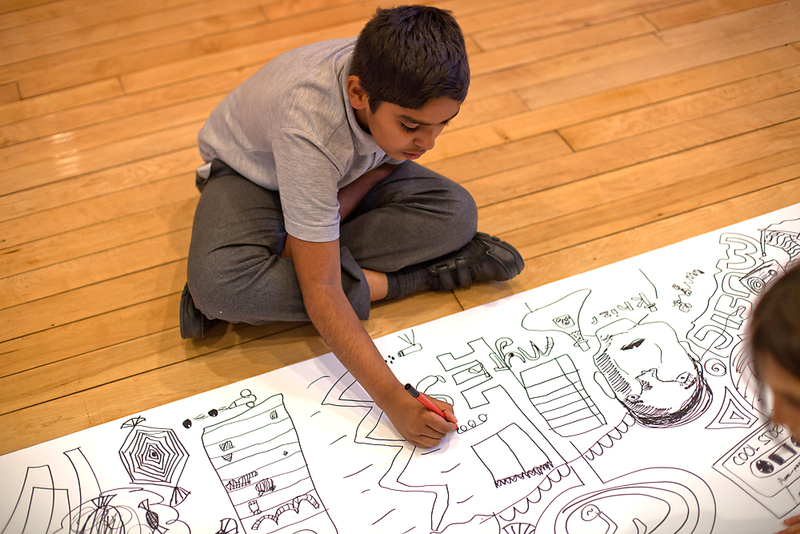 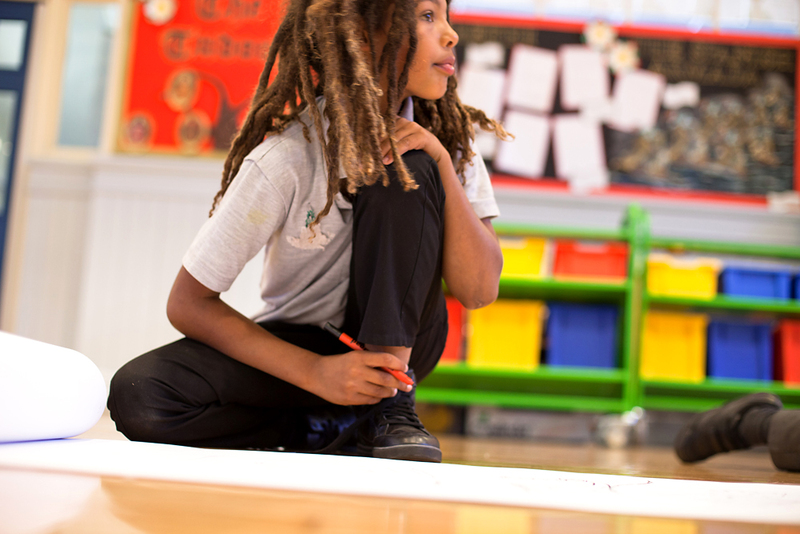 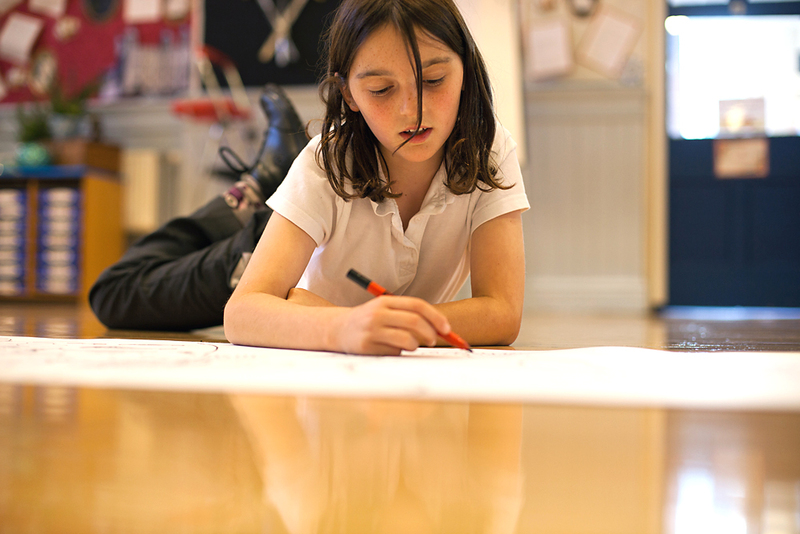 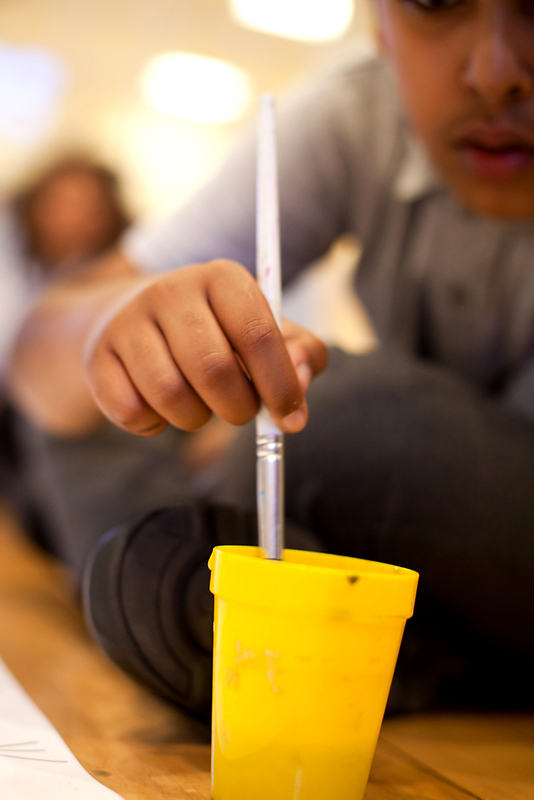 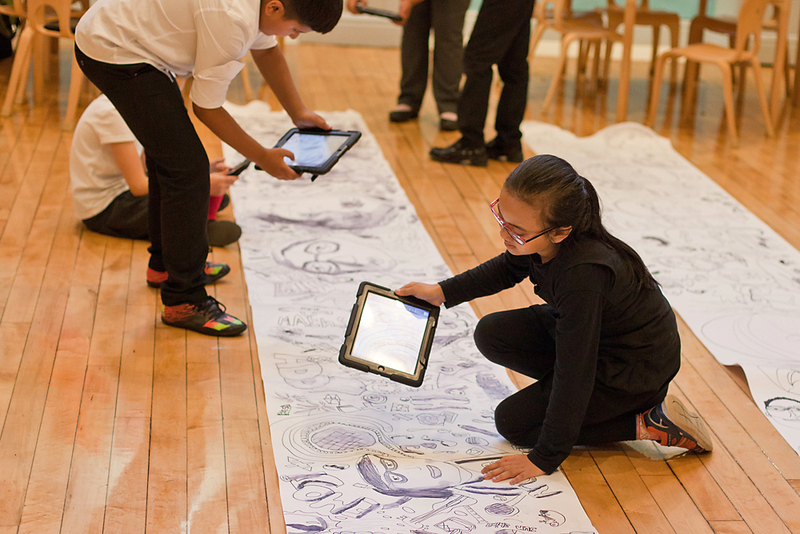 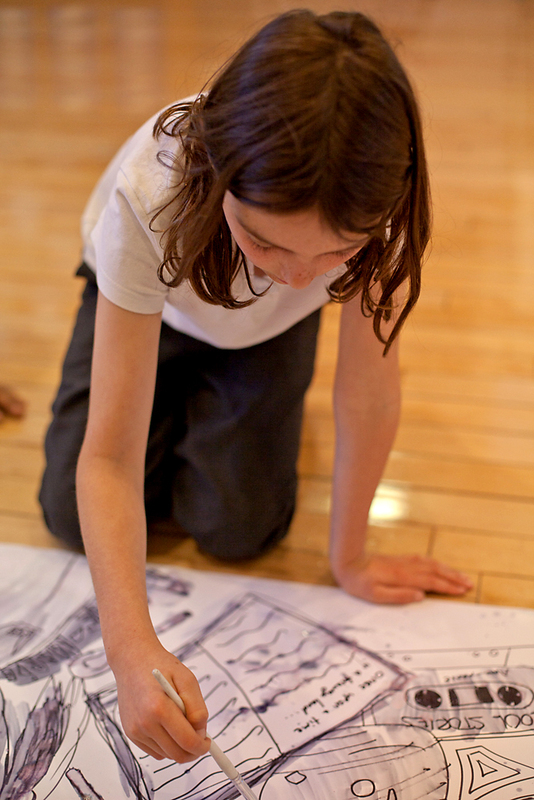 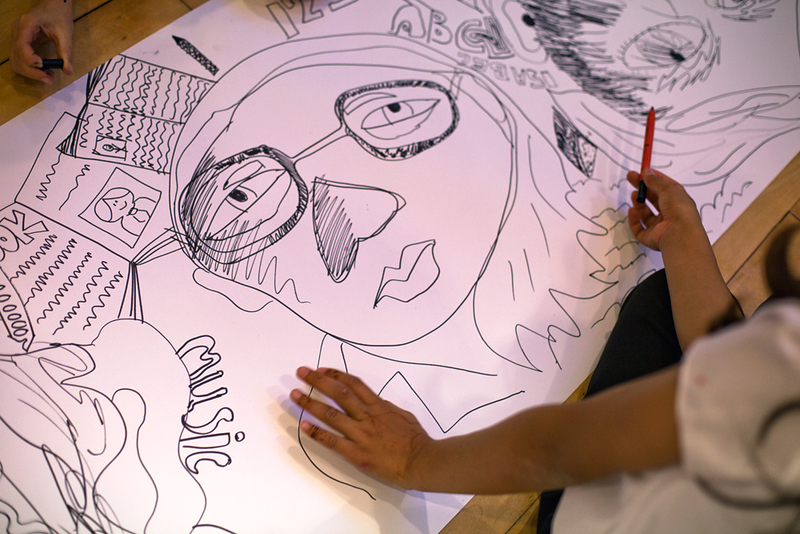 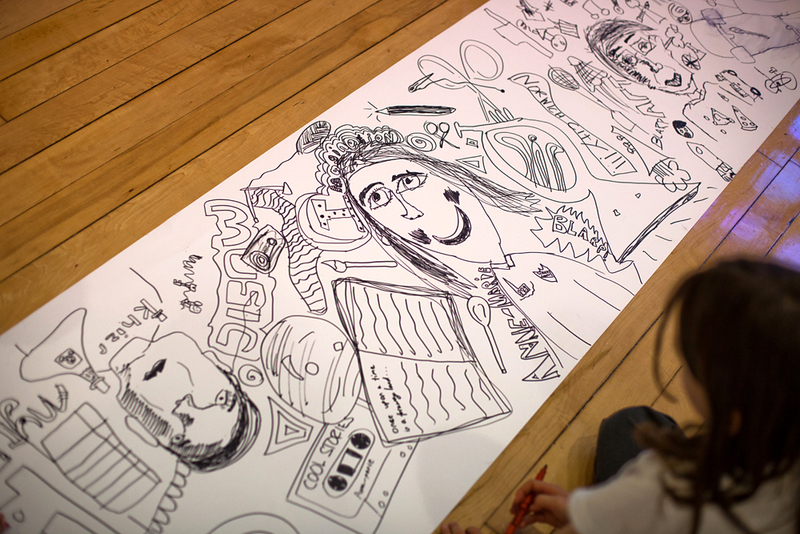 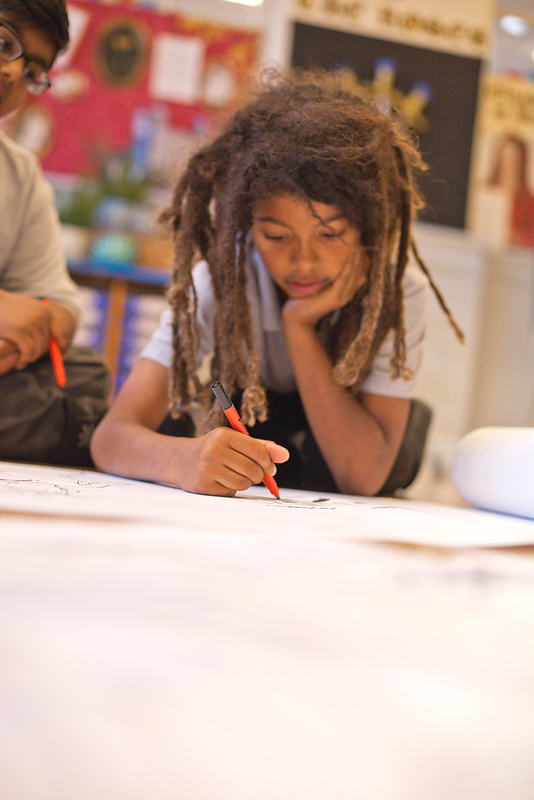 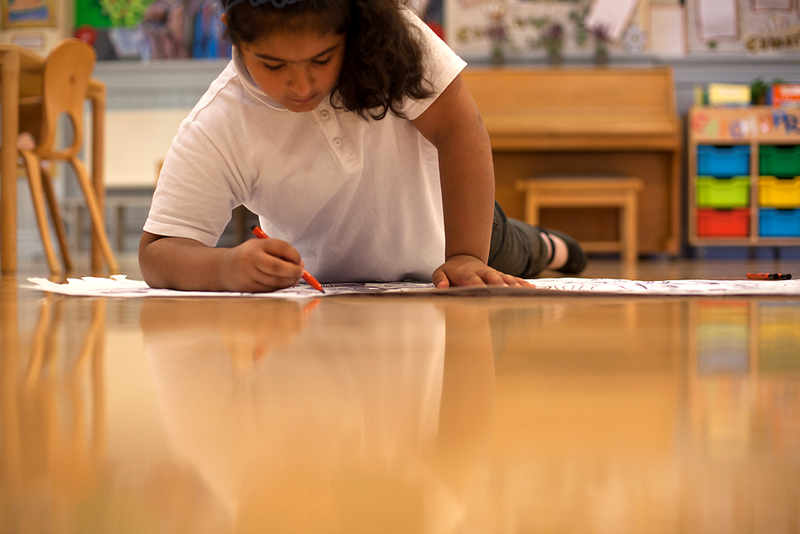 The children rolled out a large piece of paper across the school hall floor and each of them worked on multiple areas of the paper creating illustrative self portraits of themselves and embellishing the portraits with images that related to them and their lives. 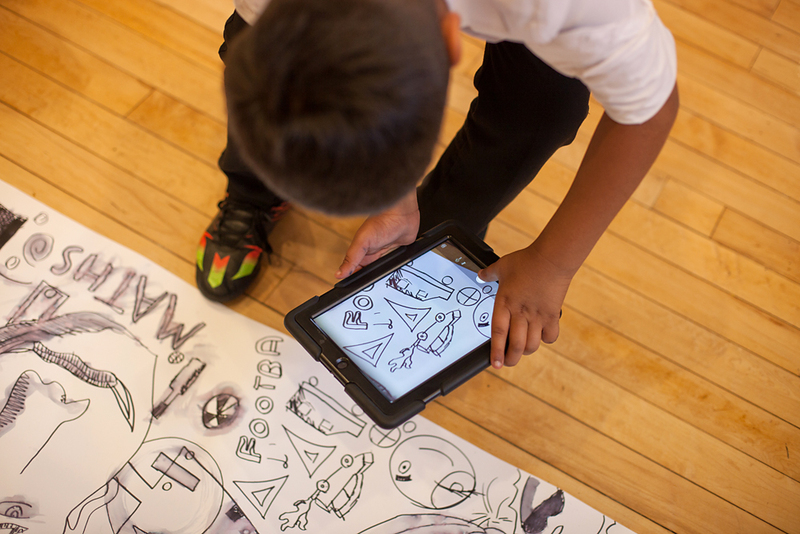 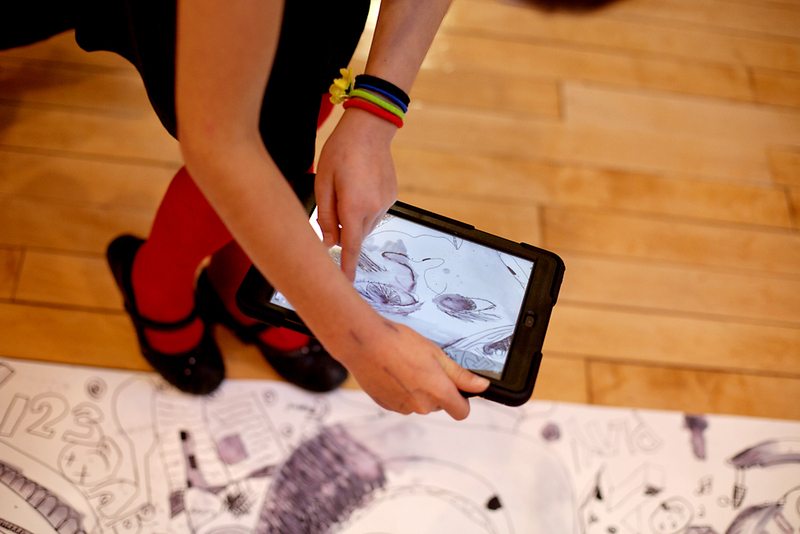 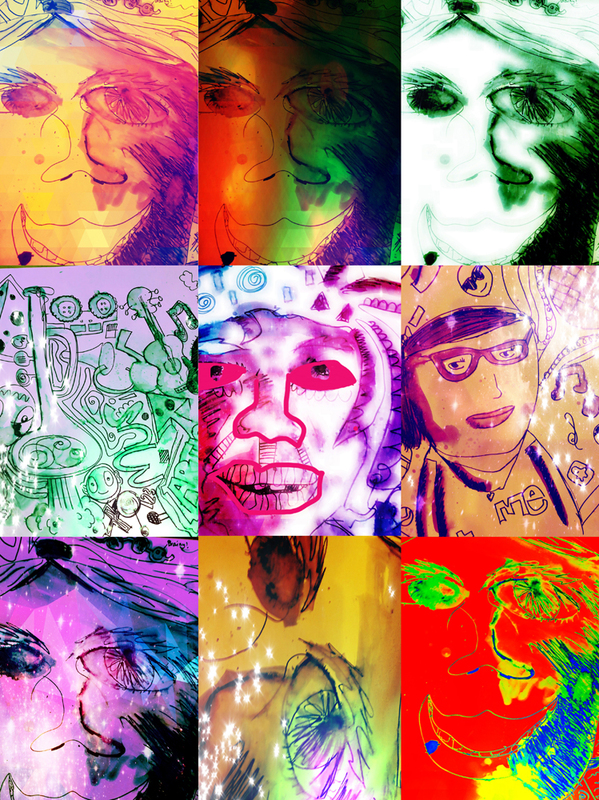 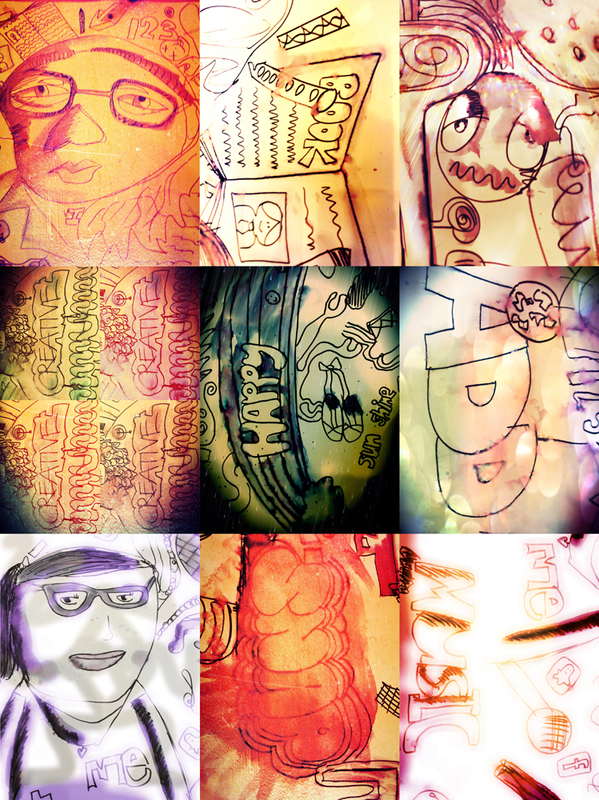 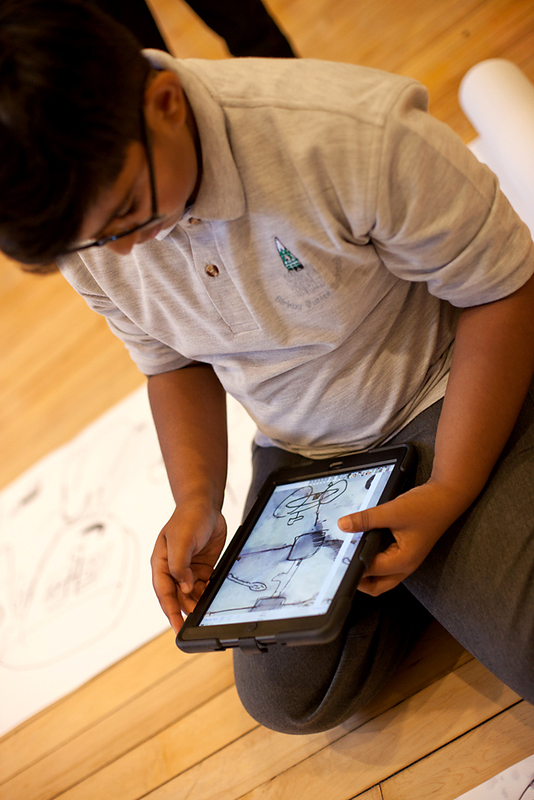 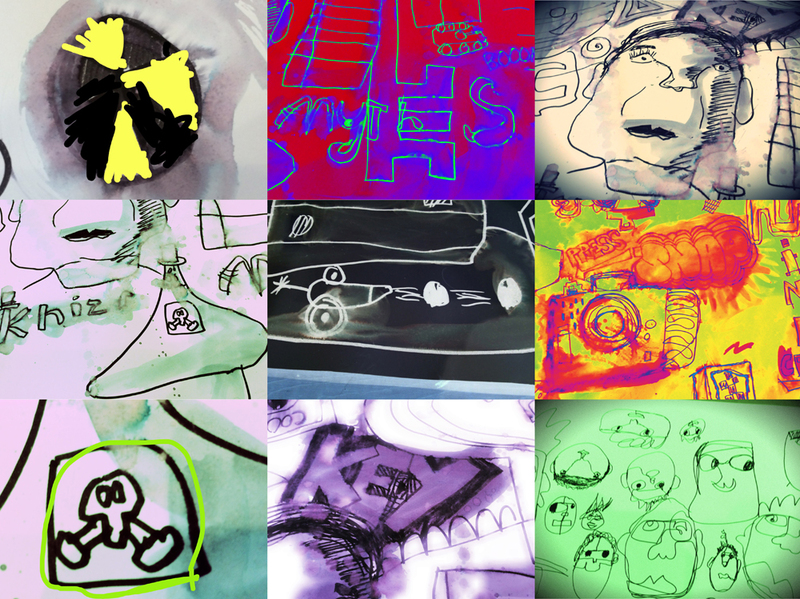 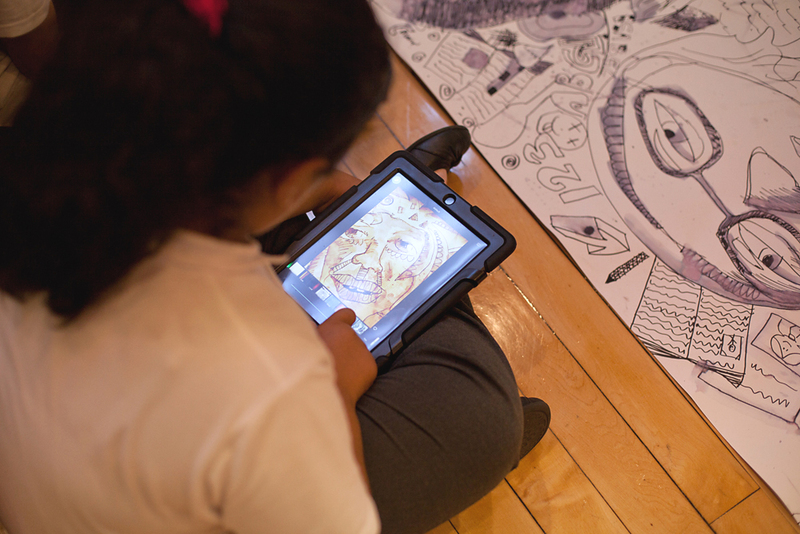 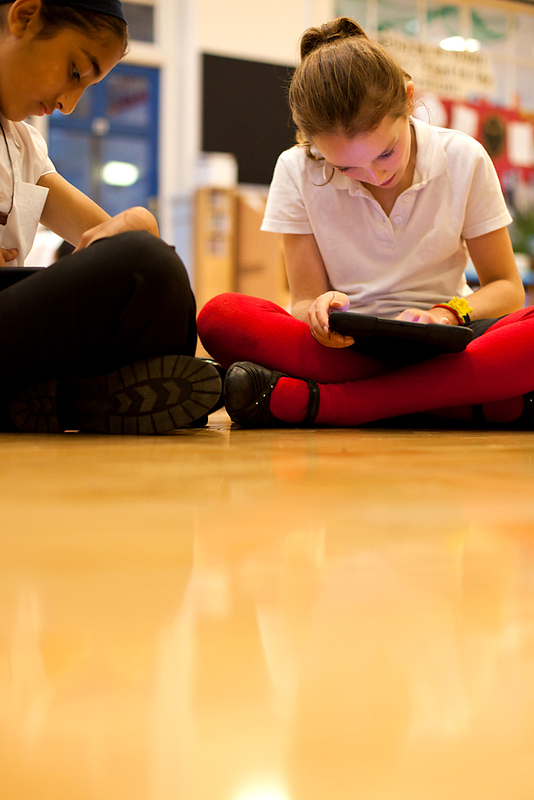 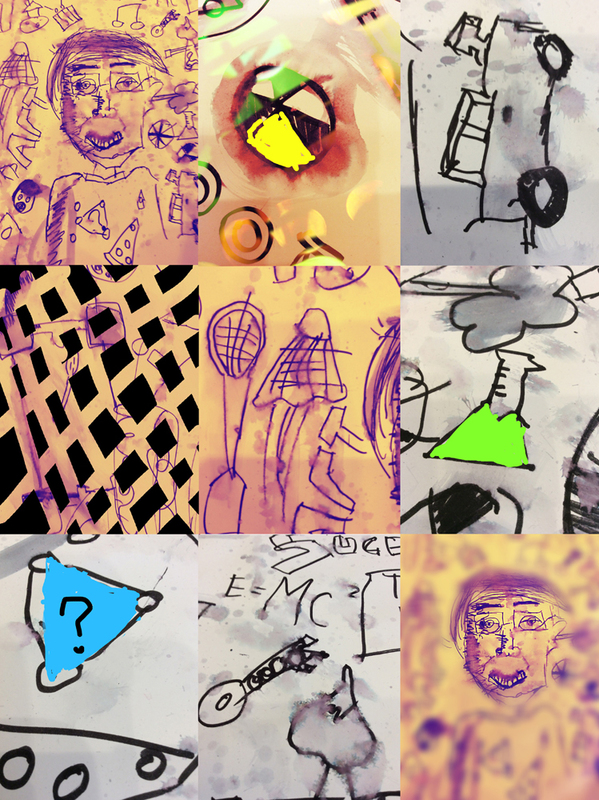 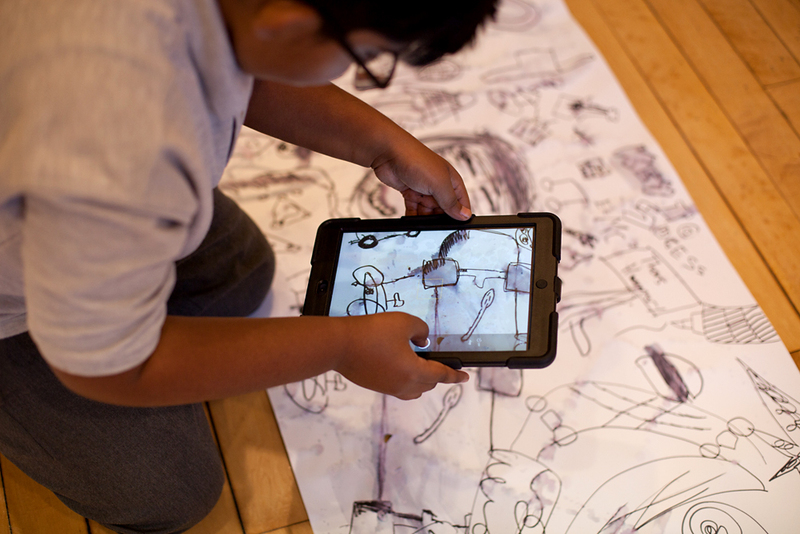 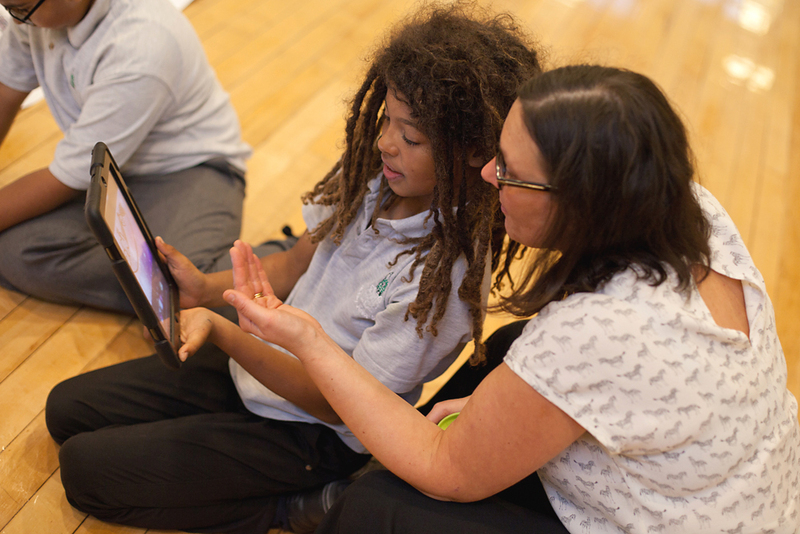 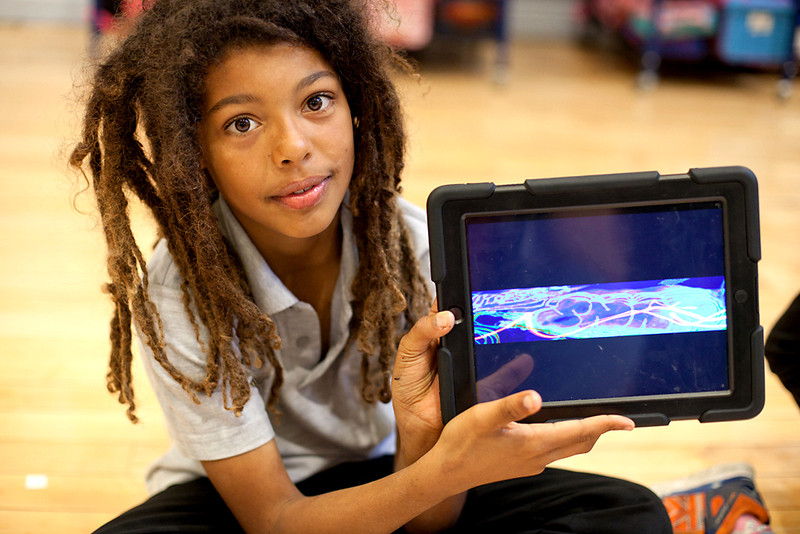 Afterwards the children extensively photographed the images that they had made using ipads. 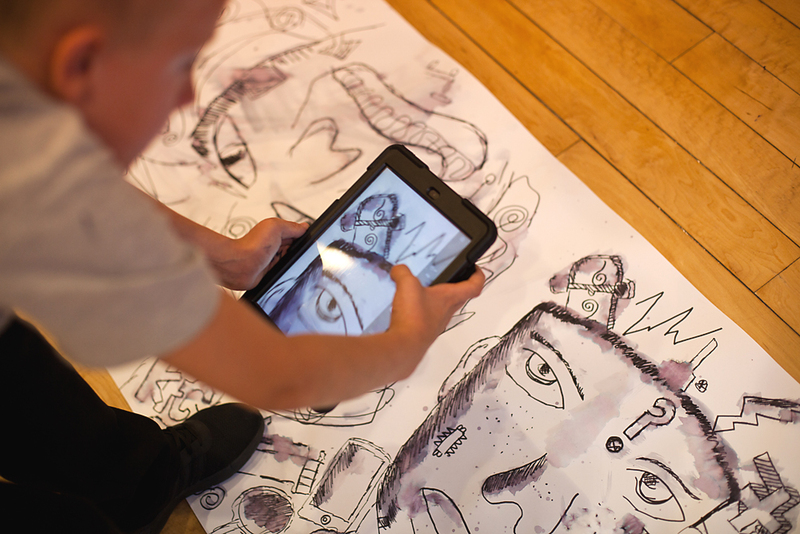 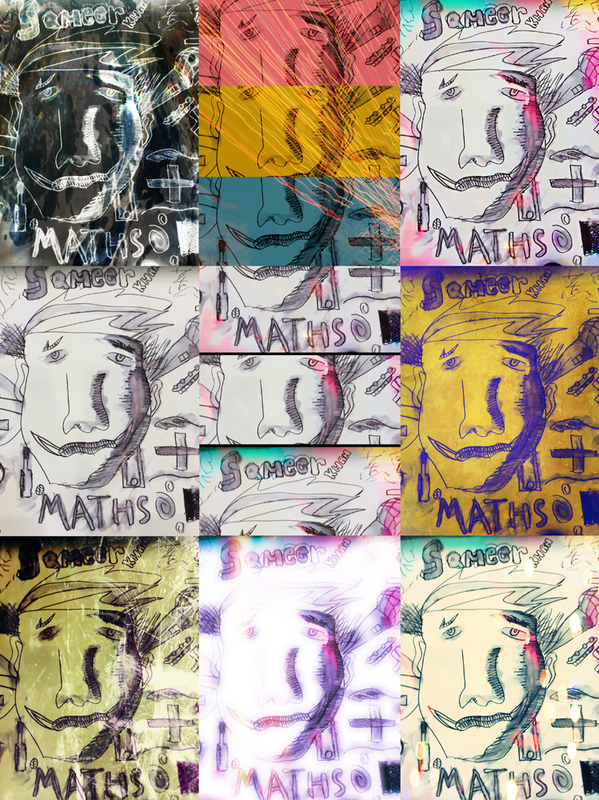 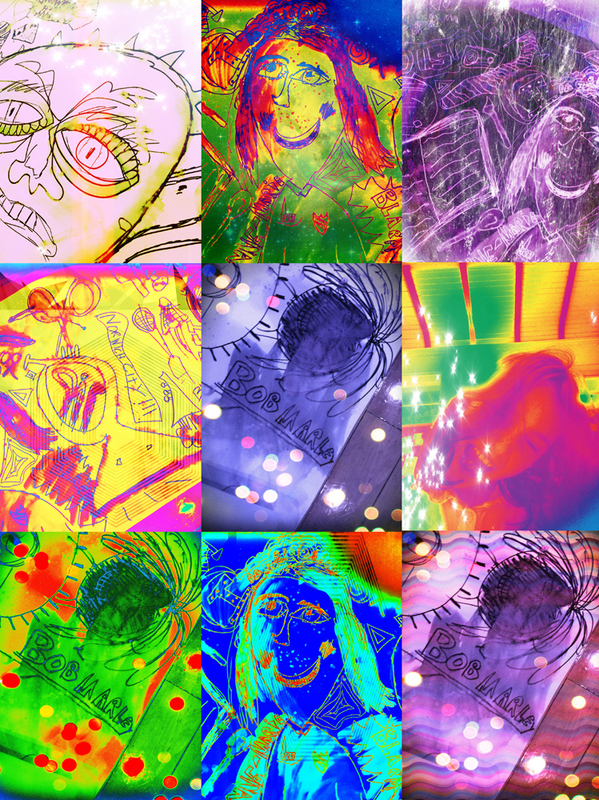 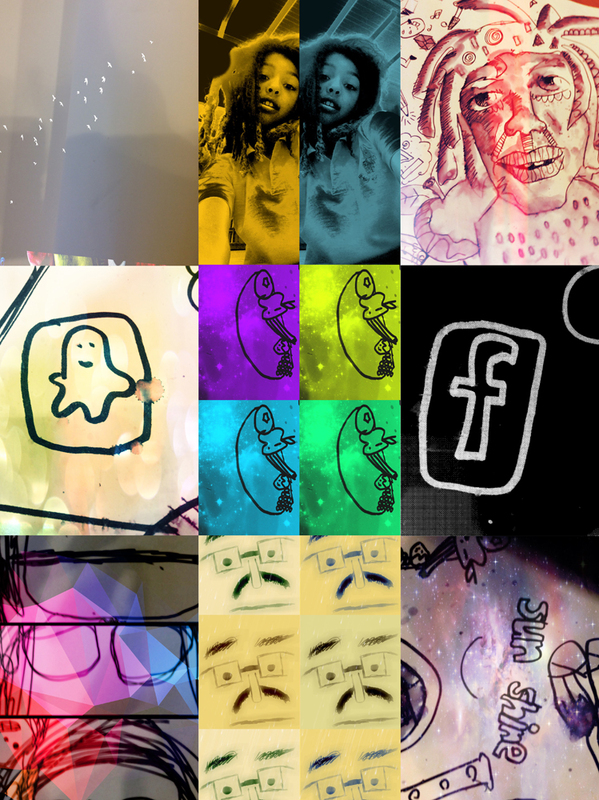 That done, they further worked on their imagery digitally manipulating the images using specific apps in the ipad until they had a made a large amount of usable media. 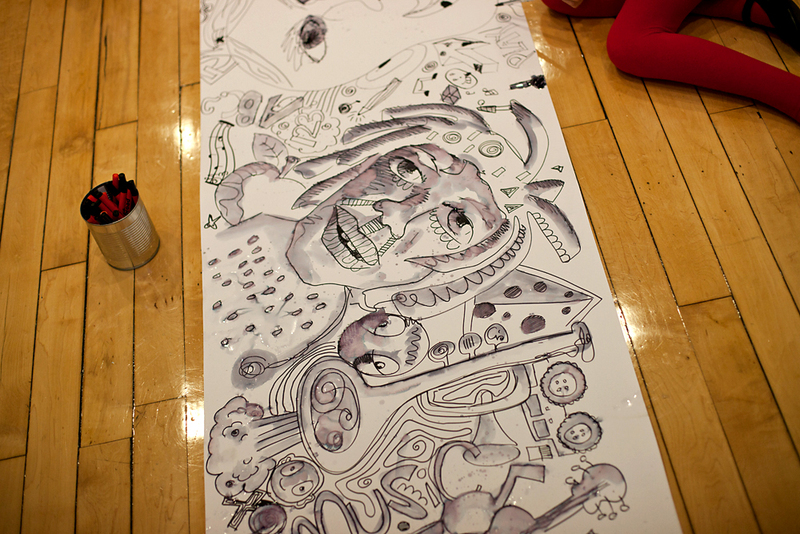 The resulting posters were the results of their hard work. 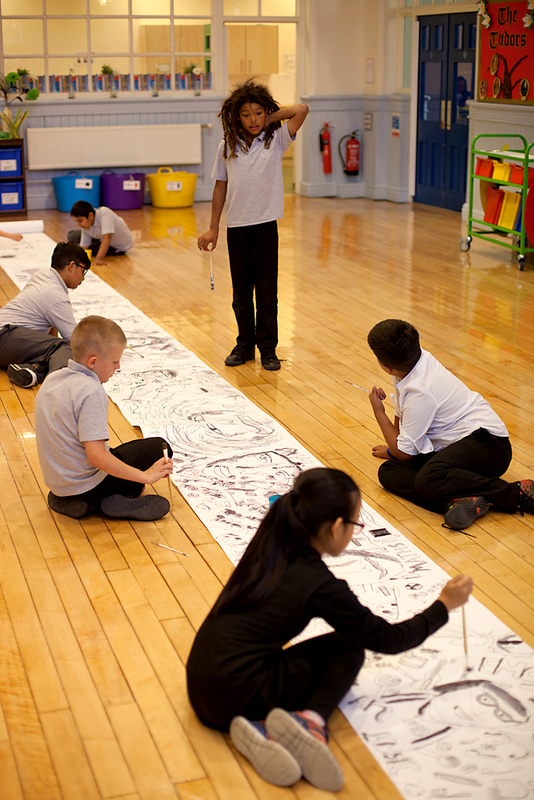 A super project with a fab bunch of children. 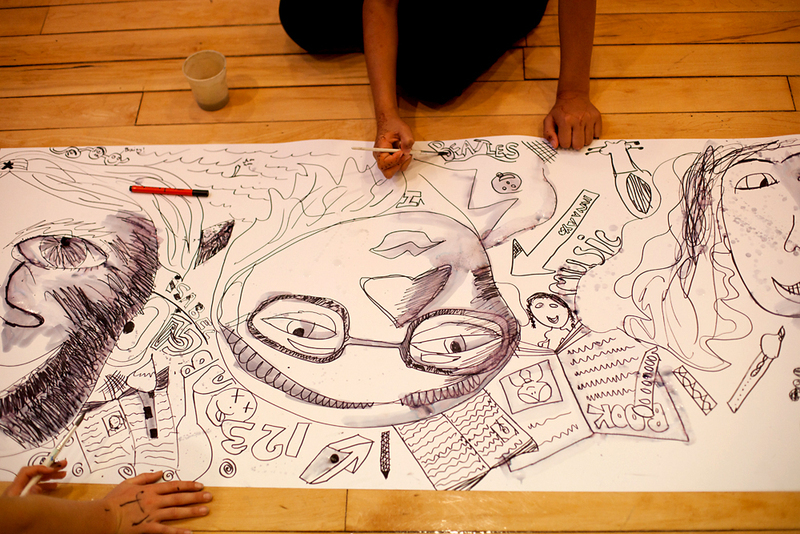 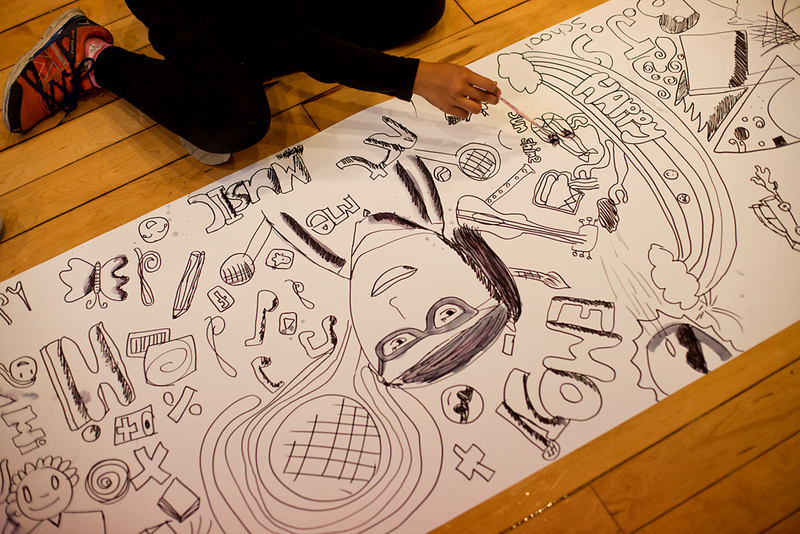 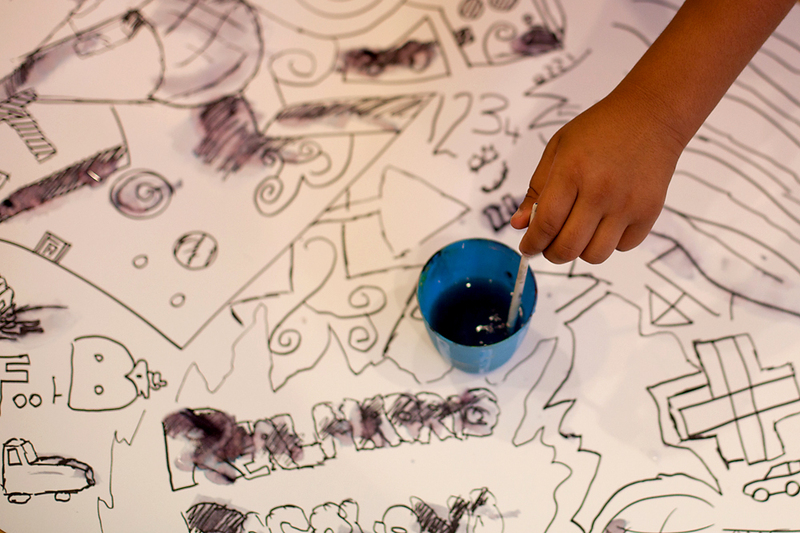 Here are some photographs from the workshop.